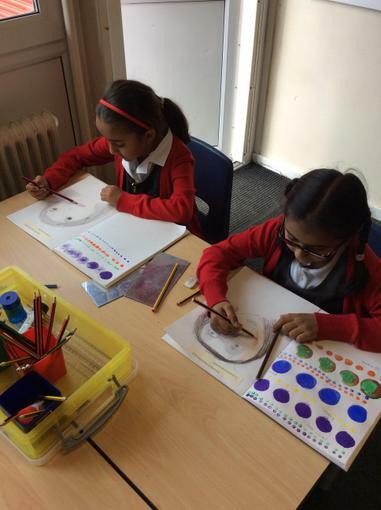 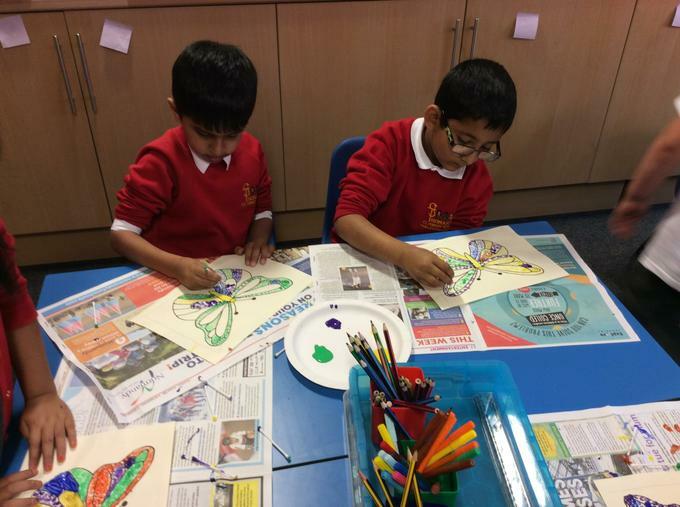 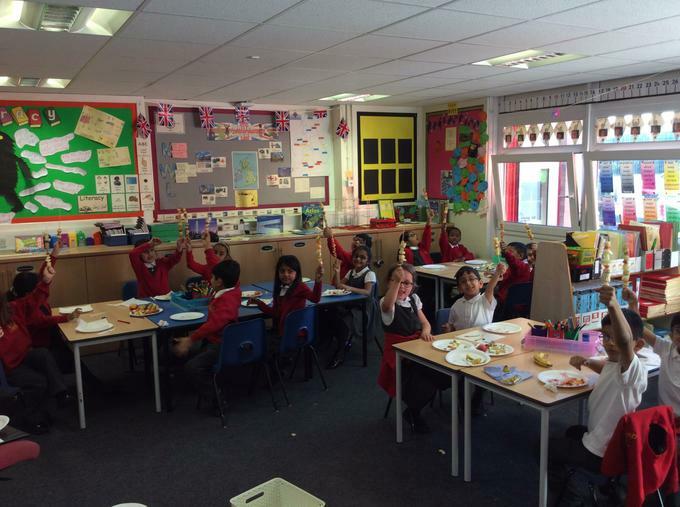 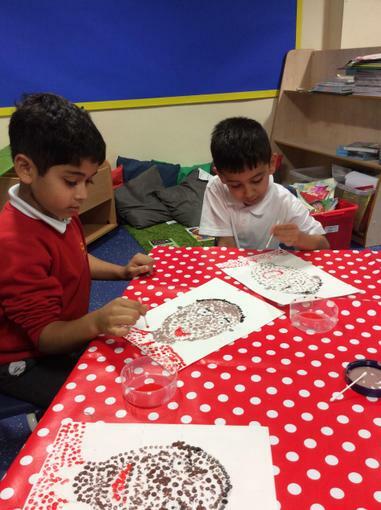 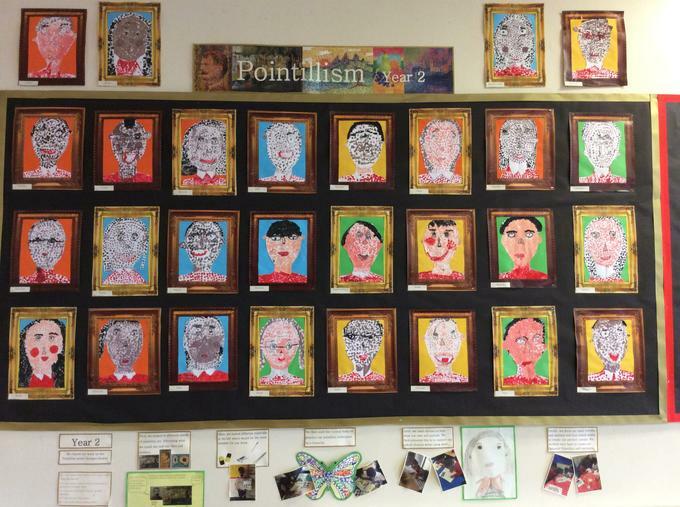 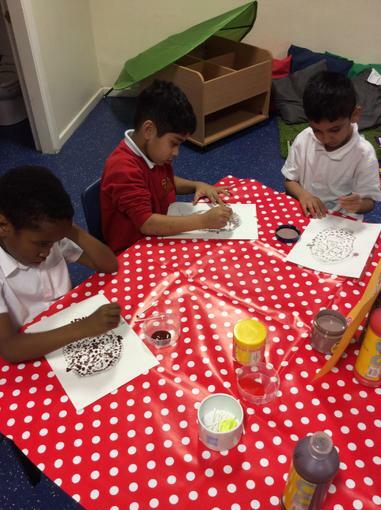 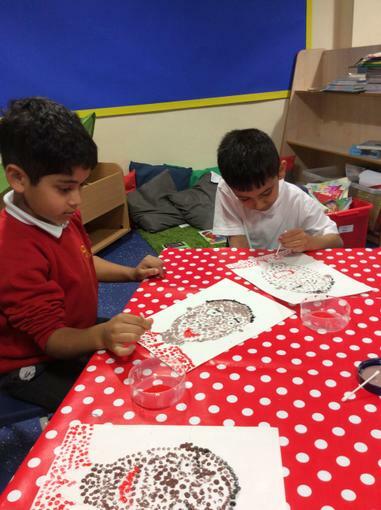 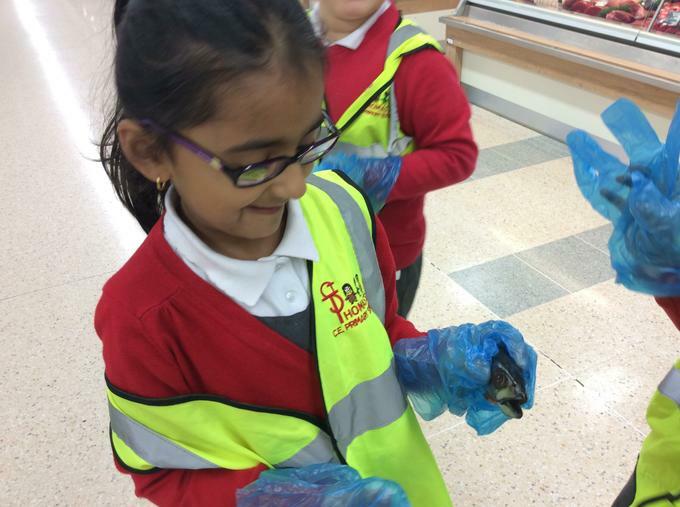 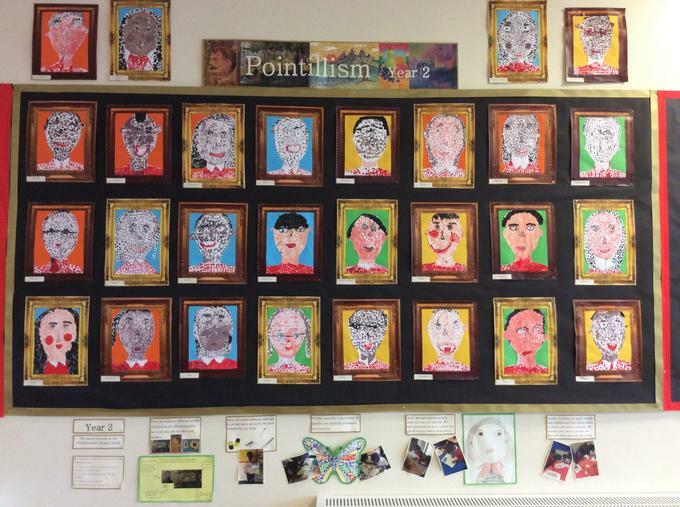 Welcome to our Year 2 class page. 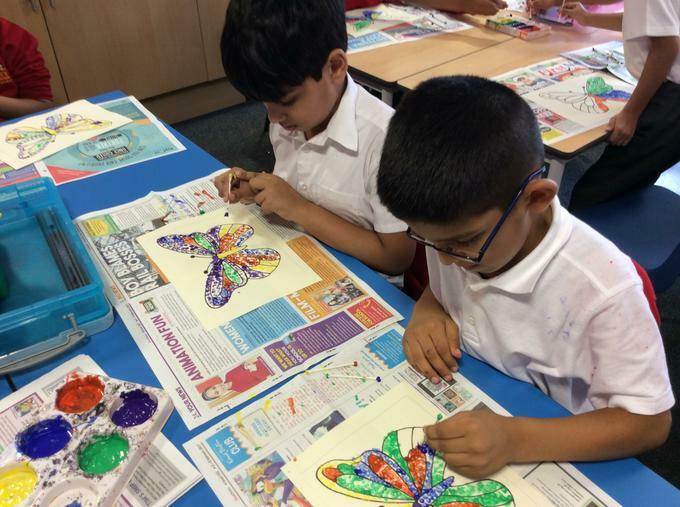 We hope you had a lovely break and are ready for a busy 2019! 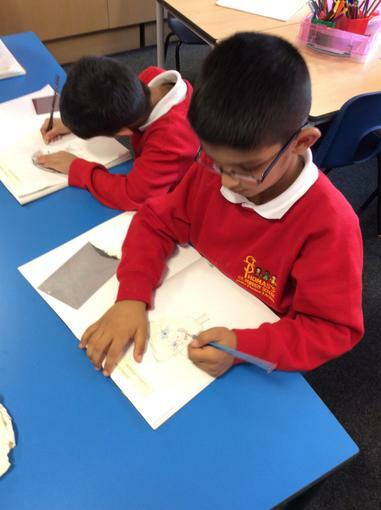 In literacy we will continue to write our personal experience recounts and we will meet Traction Man. 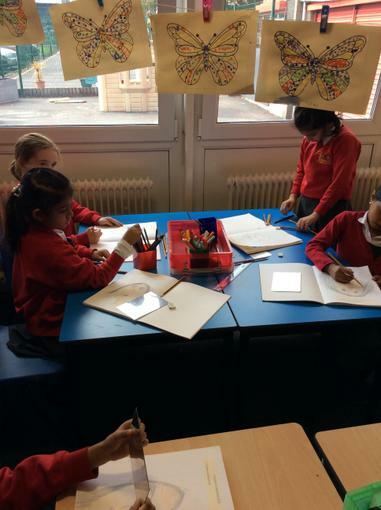 The children will write their own narratives when 'Traction Man comes to school!' 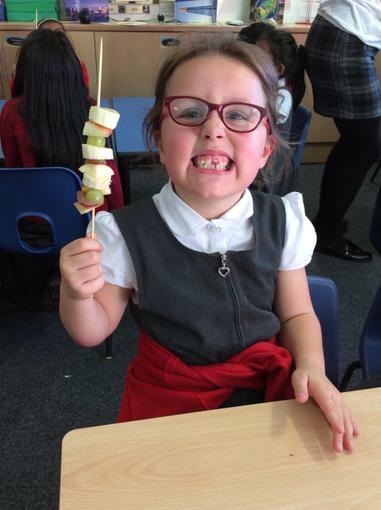 For history this half term the children will continue to learn about homes when their grandparents were young and how technology has changed and will be introduced to our event from the past- The Titanic. 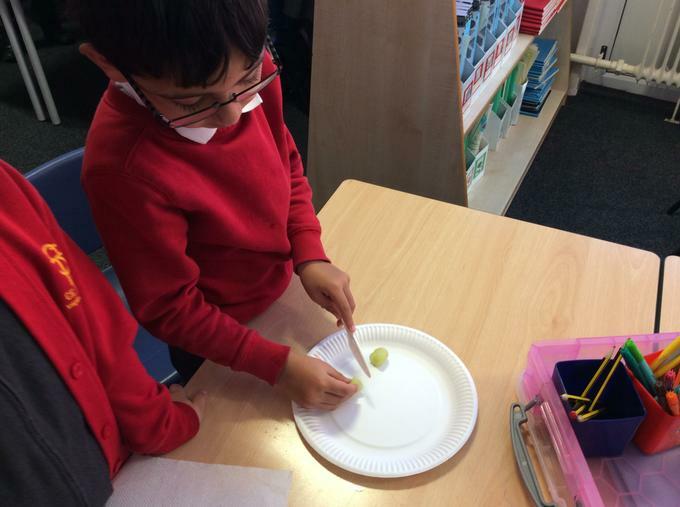 In science we will be learning about everyday materials; what different objects are made from, their properties and purpose. 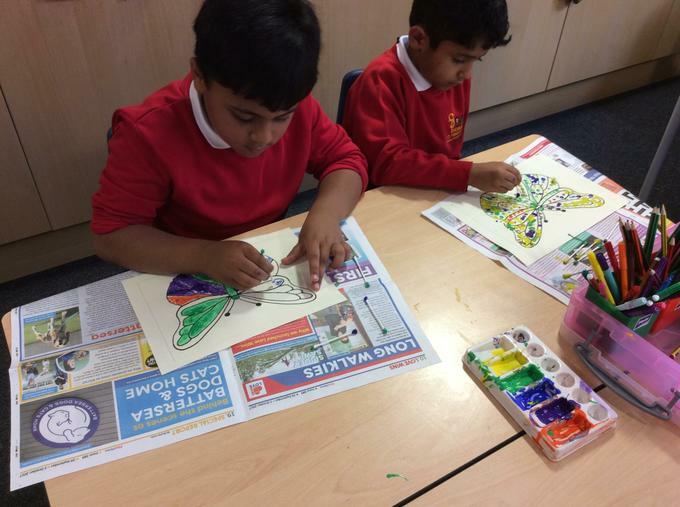 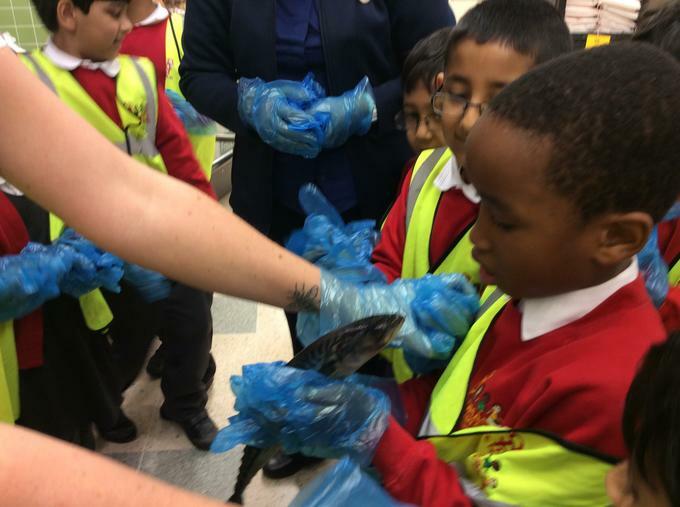 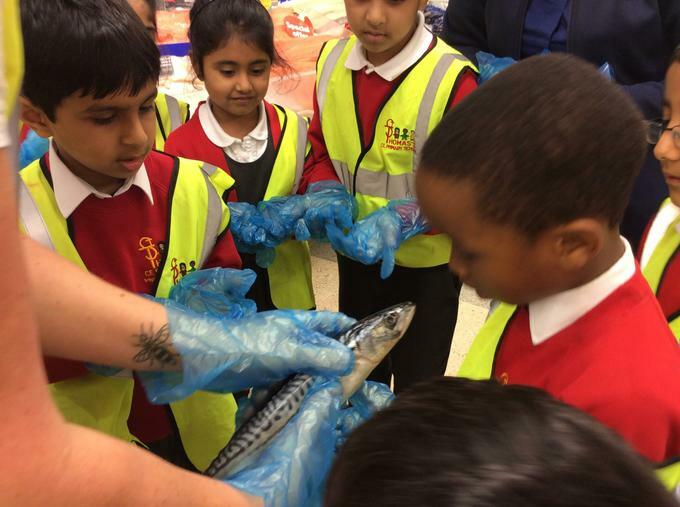 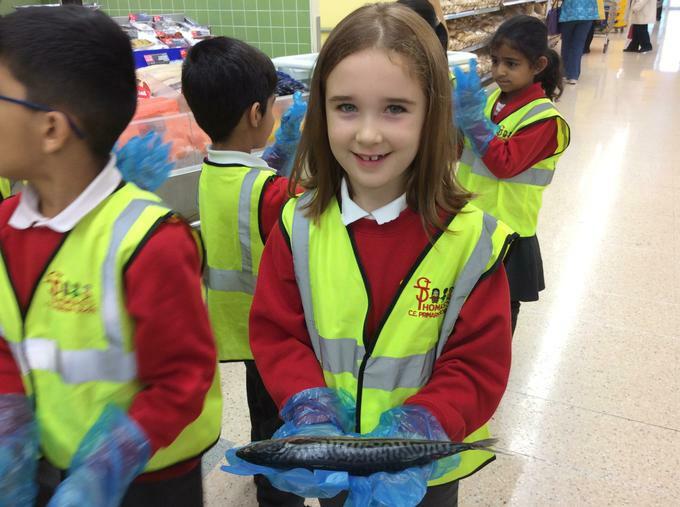 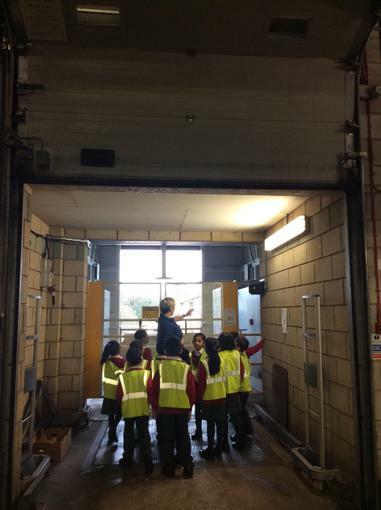 Please visit this page regularly as it will be updated with photos of our work and links to support learning. 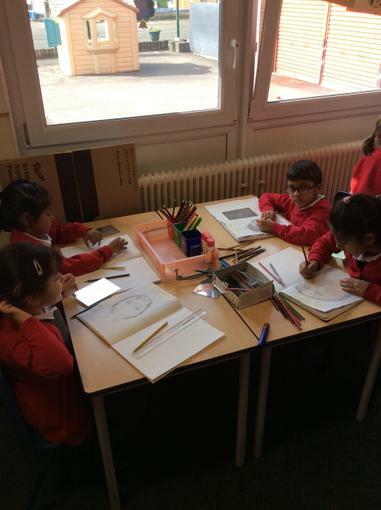 Take a look at our planning documents to find out more about what we will be learning this year. 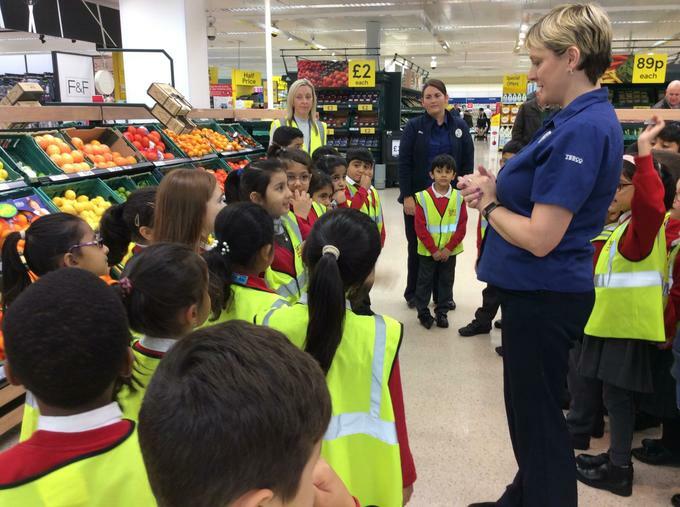 Children will require their P.E. 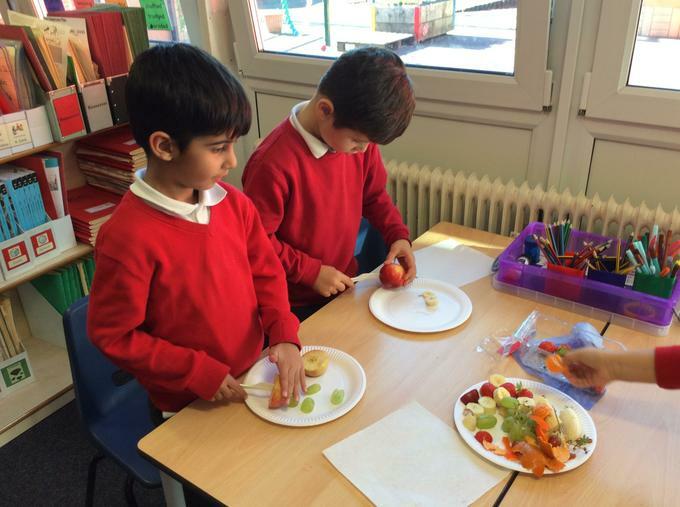 kits every Monday and Friday. 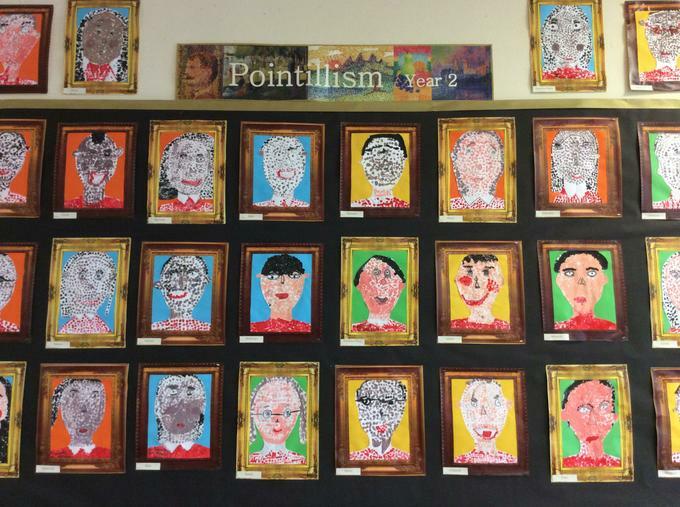 They should leave it in school until the half term holiday. 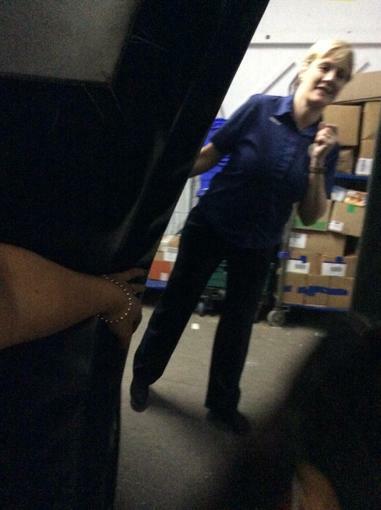 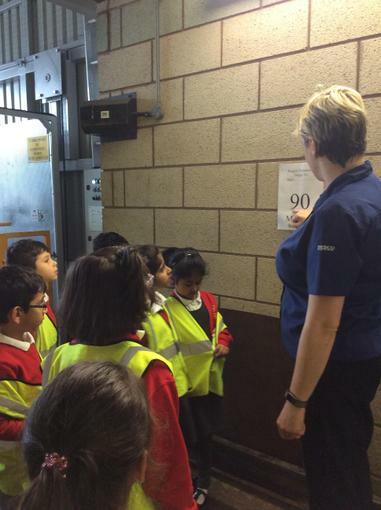 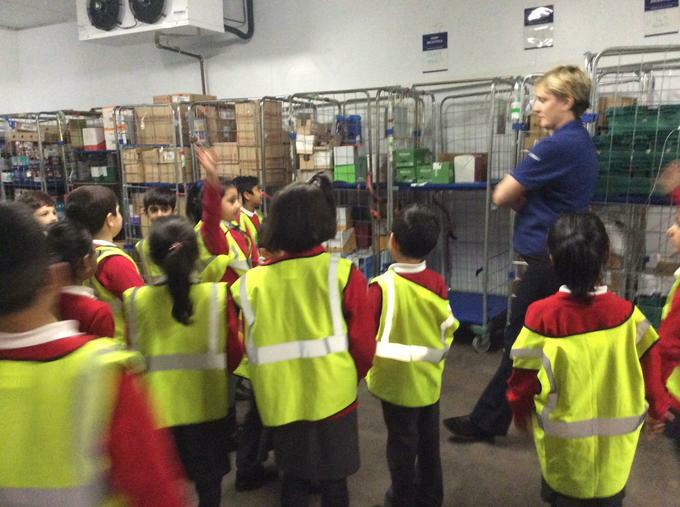 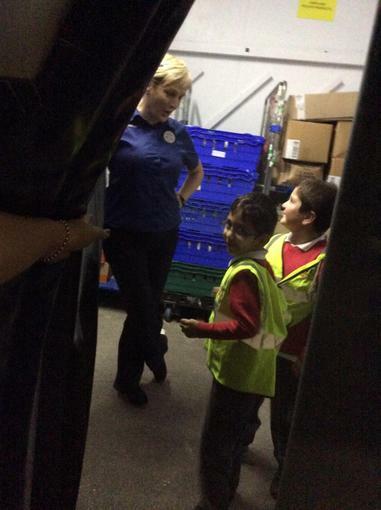 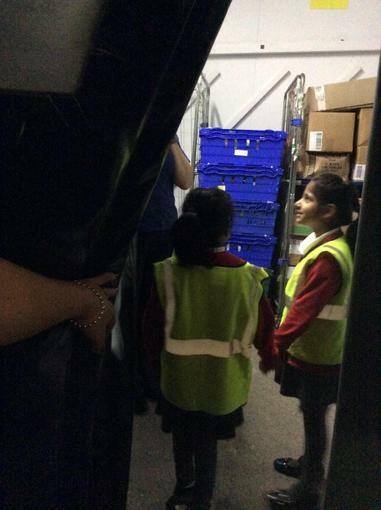 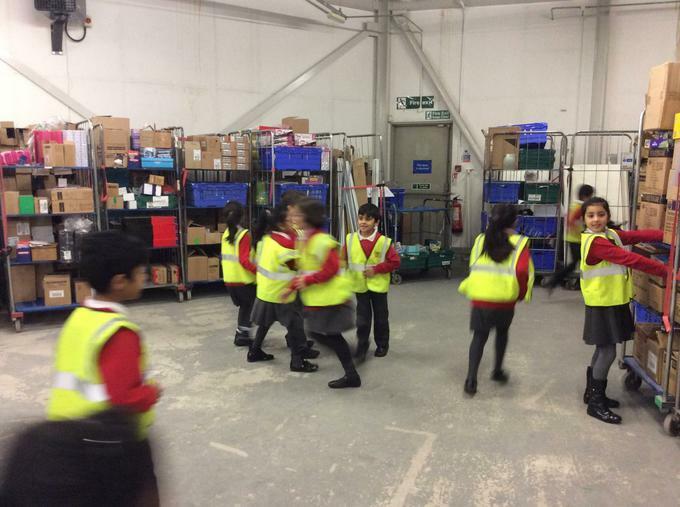 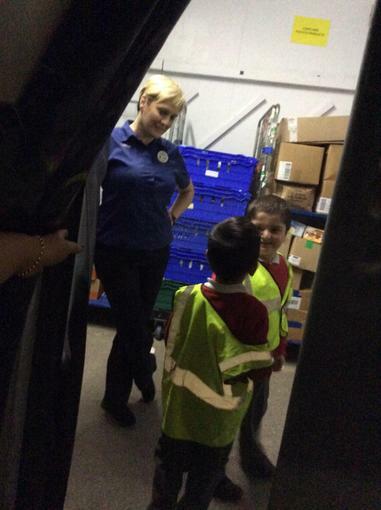 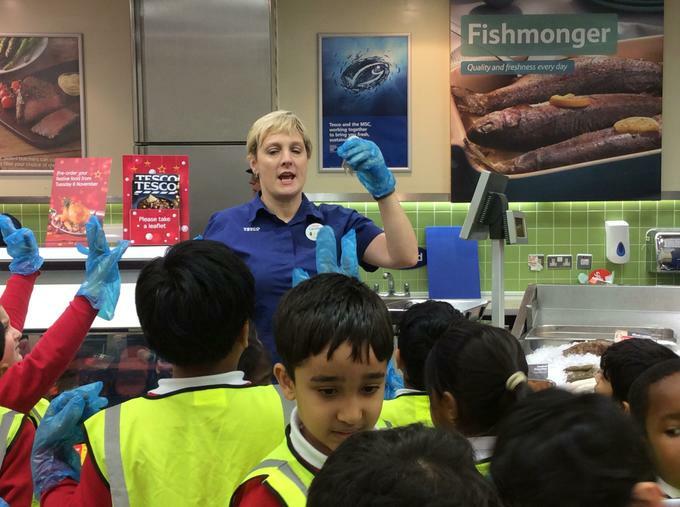 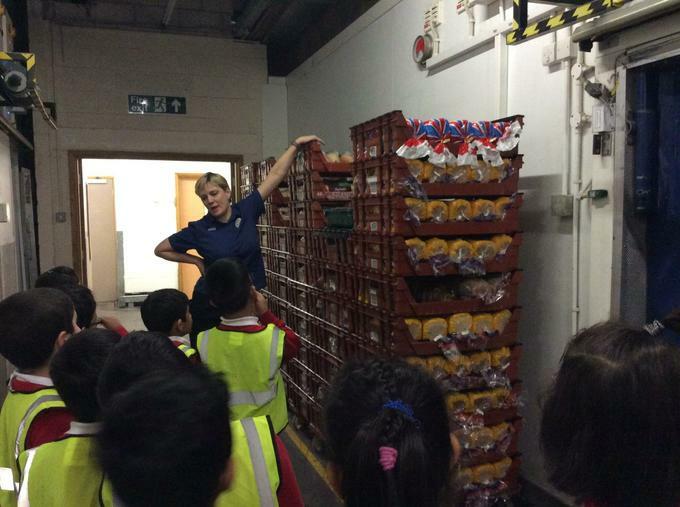 This will ensure that they don’t regularly forget their P.E. 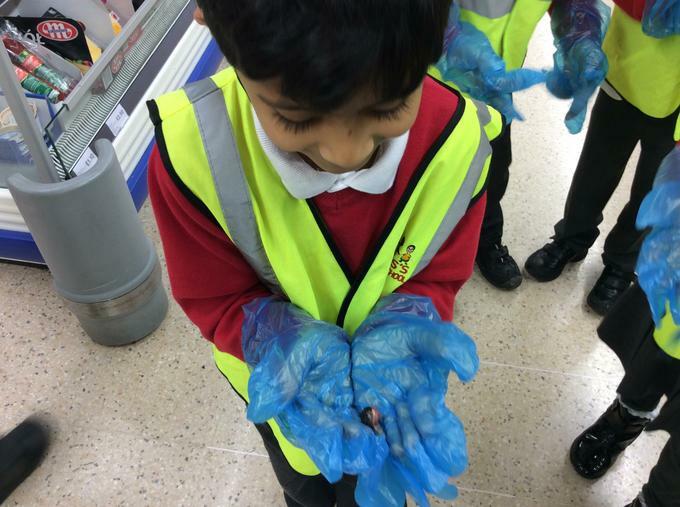 kit. 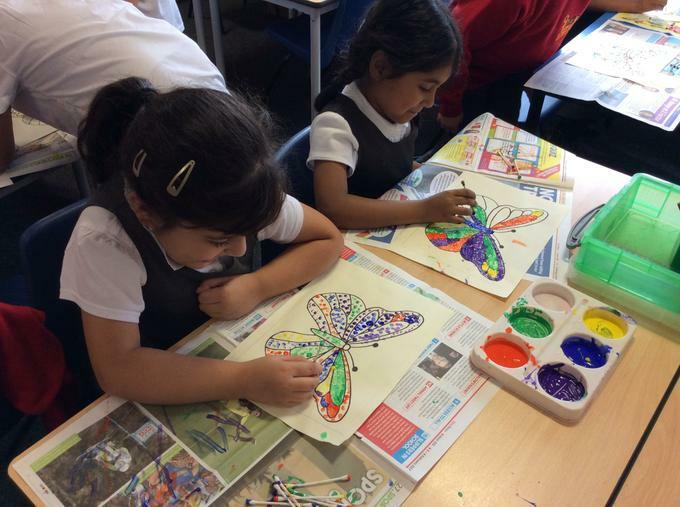 The children will need either pumps or trainers as the children will participate in outdoor and indoor activities throughout the term. 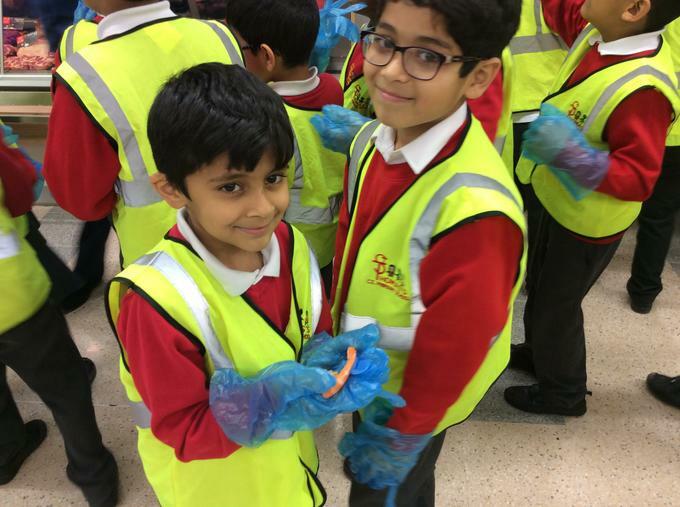 If your child doesn’t have the correct footwear, they may not be able to participate in certain activities, which would have a negative impact on their physical development. 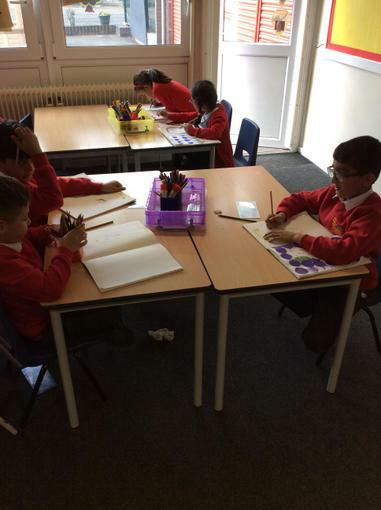 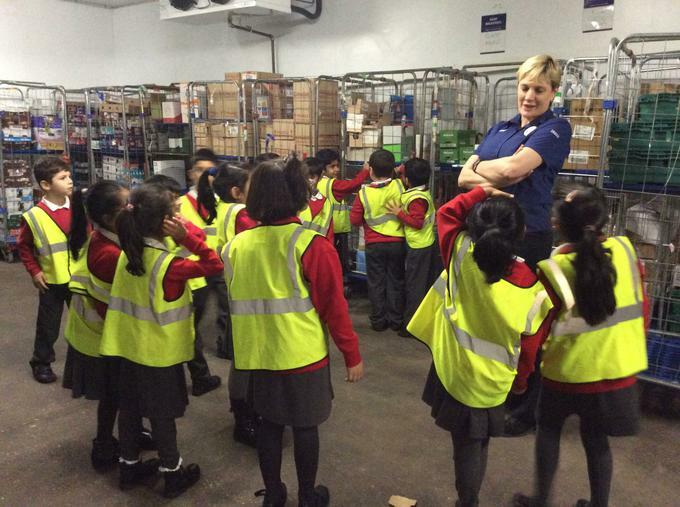 The children will change their reading books once a week on a Monday. 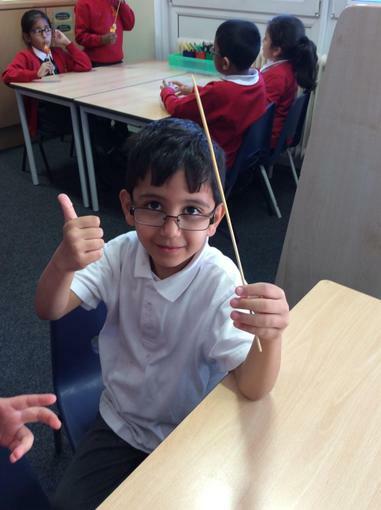 On this day your child will receive two reading books to read during the course of the week. 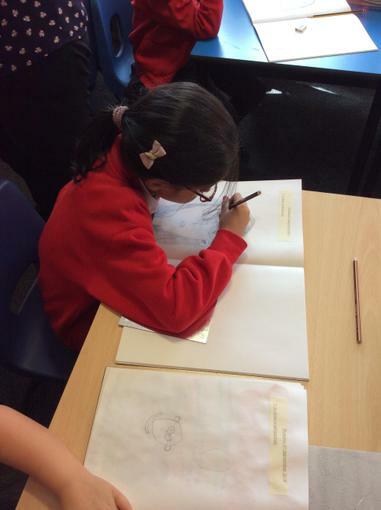 Please ensure your child brings their books every Monday for changing. 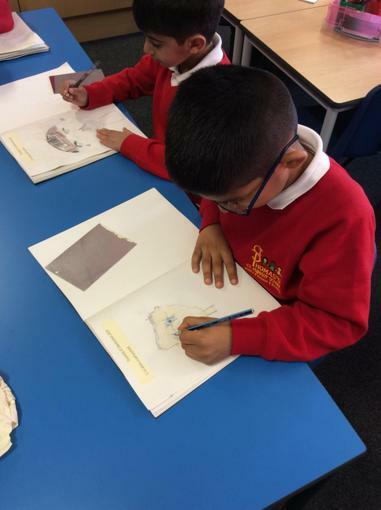 Could you please sign their reading journal to show that your child has read their reading books? 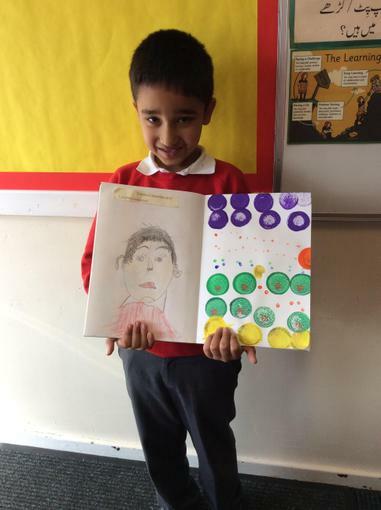 Remember, it is important you read with your child for fifteen minutes every evening. 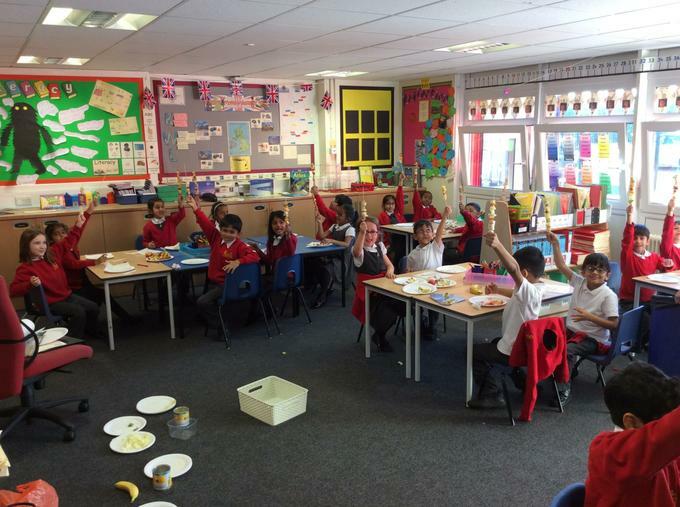 Lending library books will be changed every Friday, please ensure your child completes their book review so they can collect points. 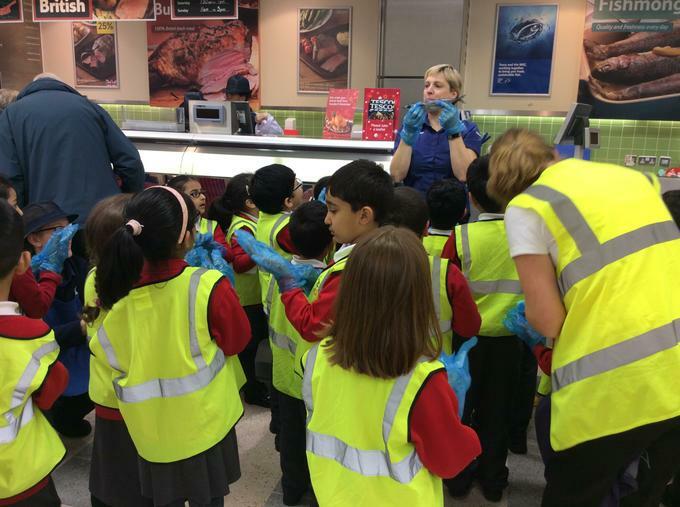 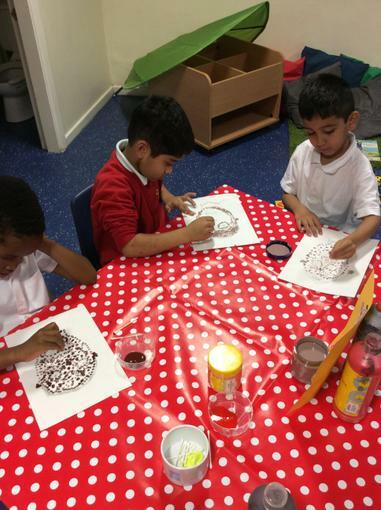 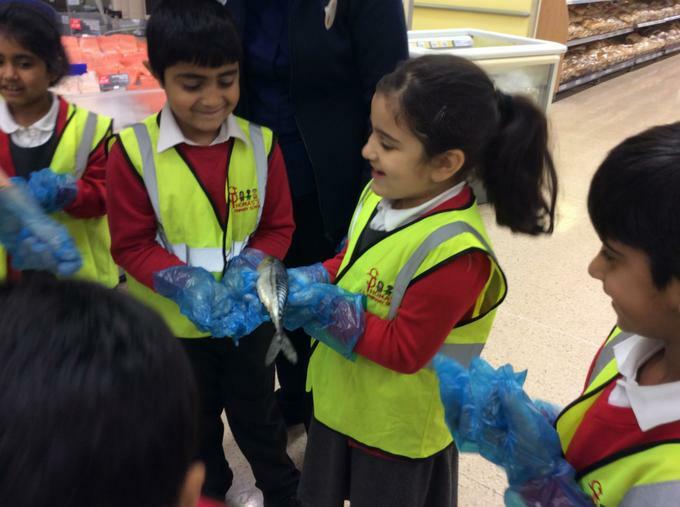 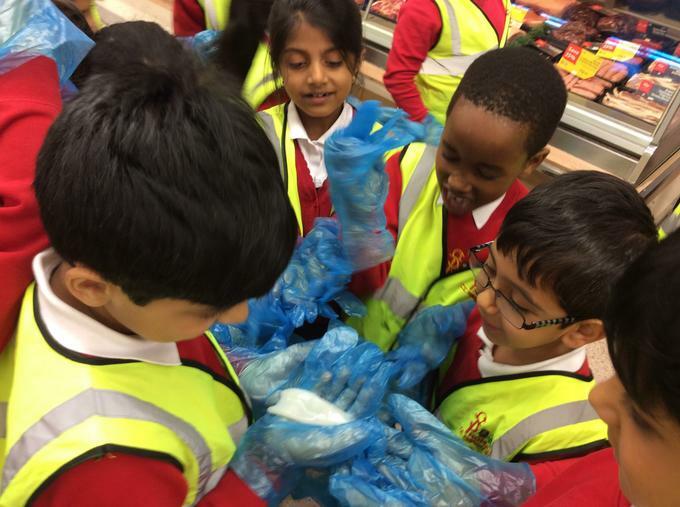 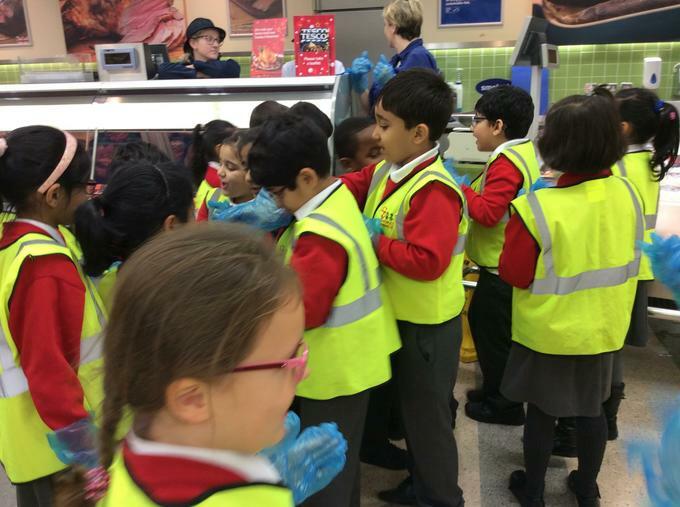 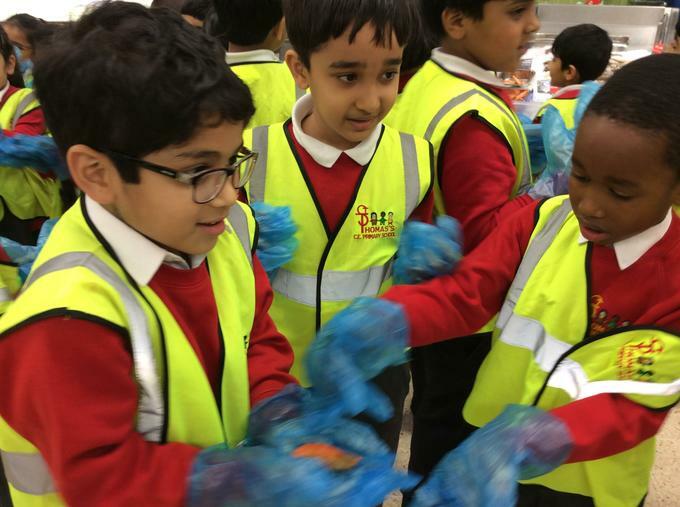 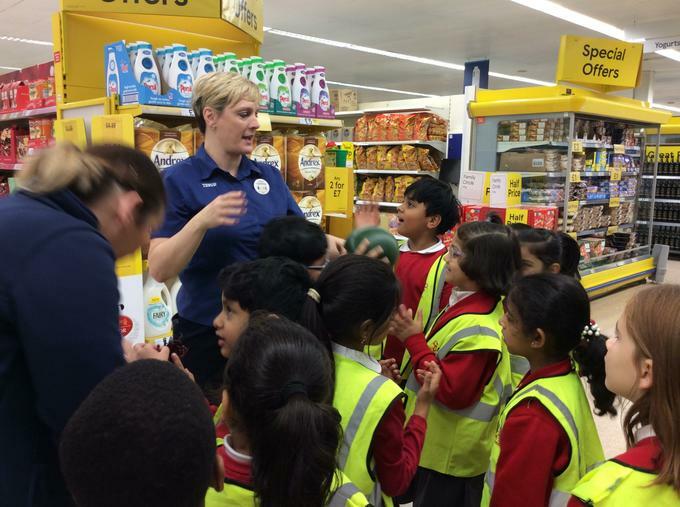 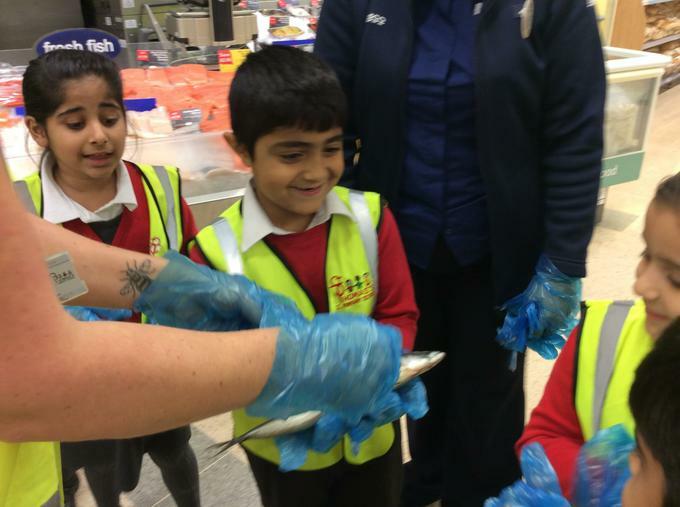 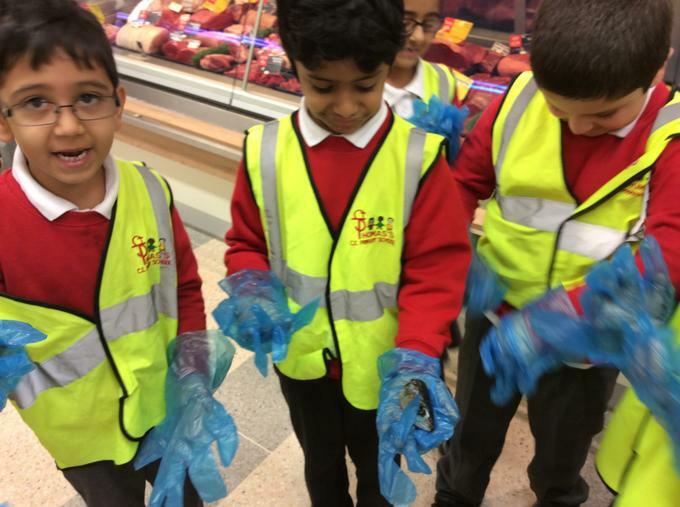 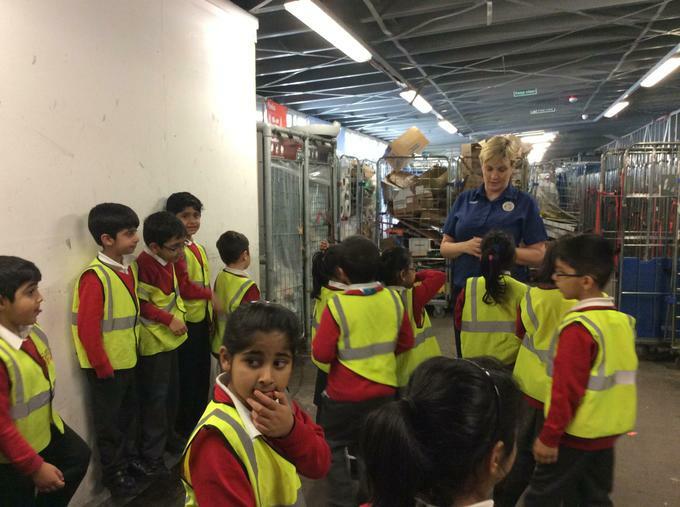 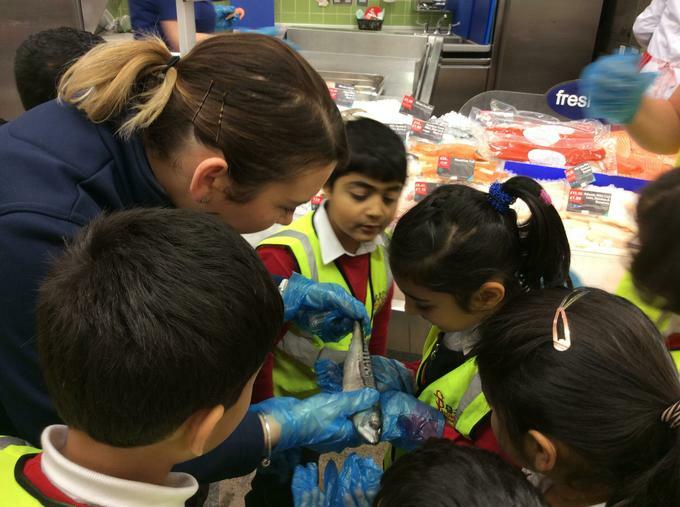 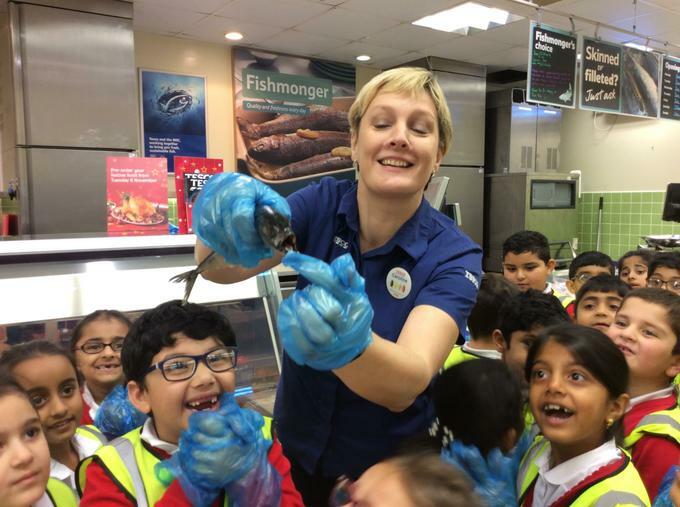 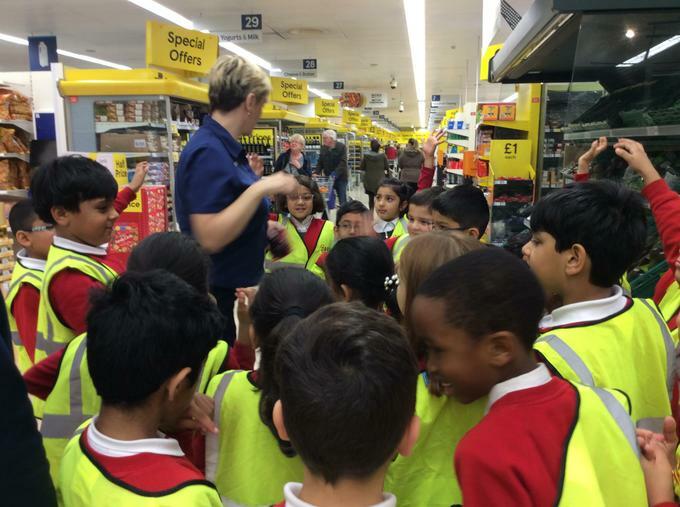 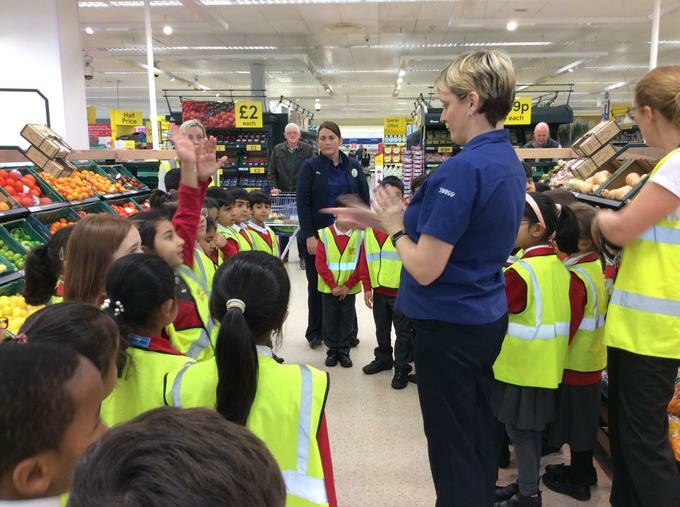 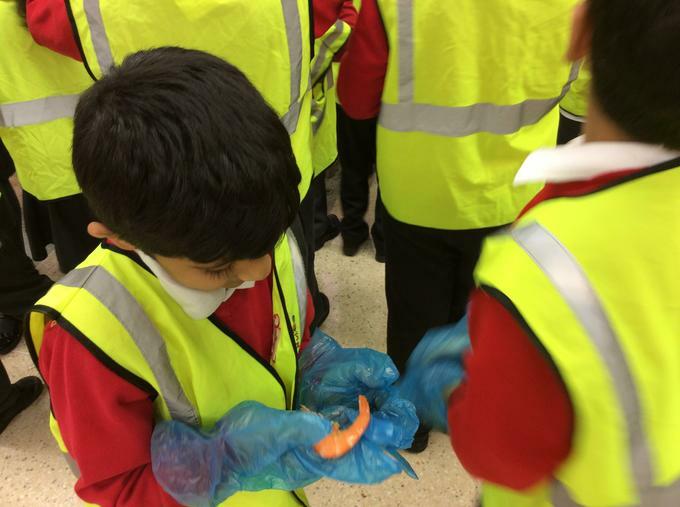 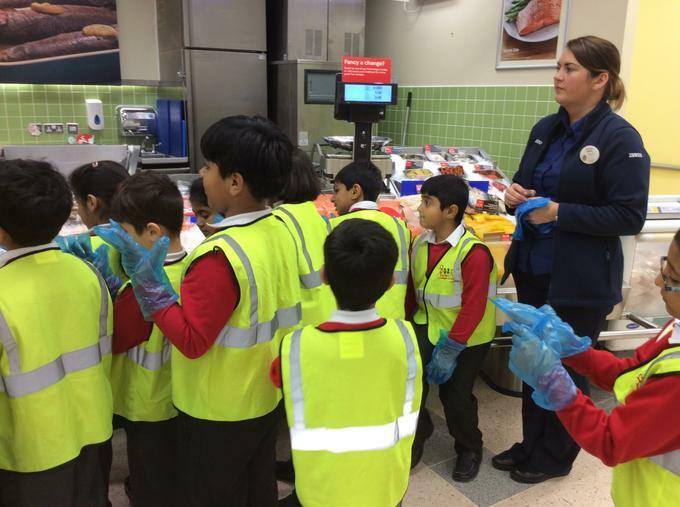 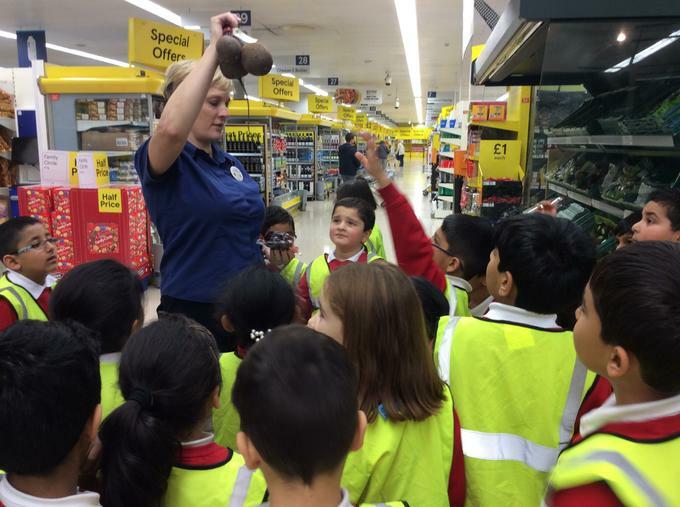 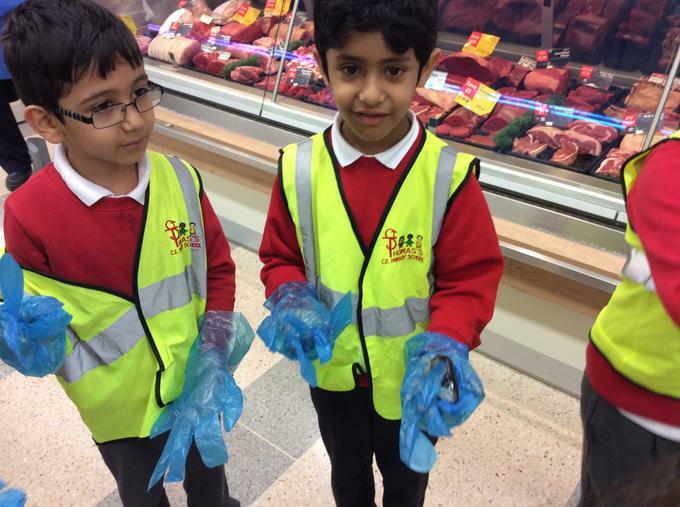 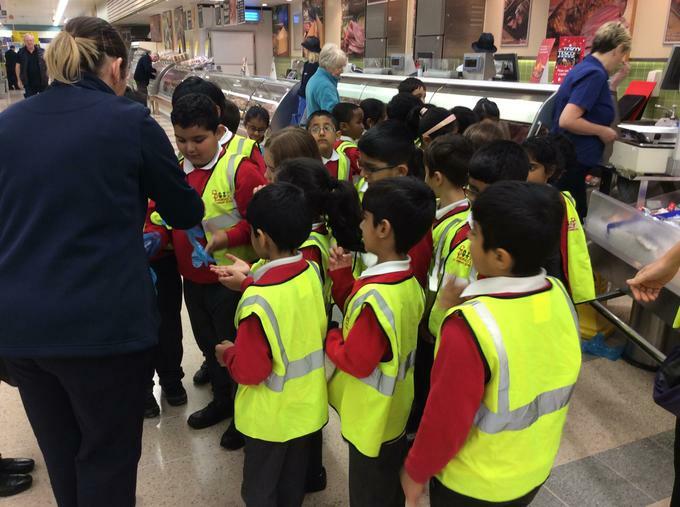 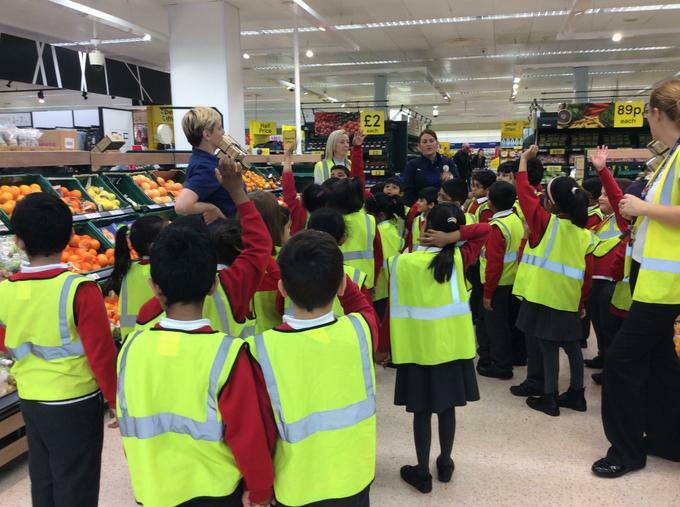 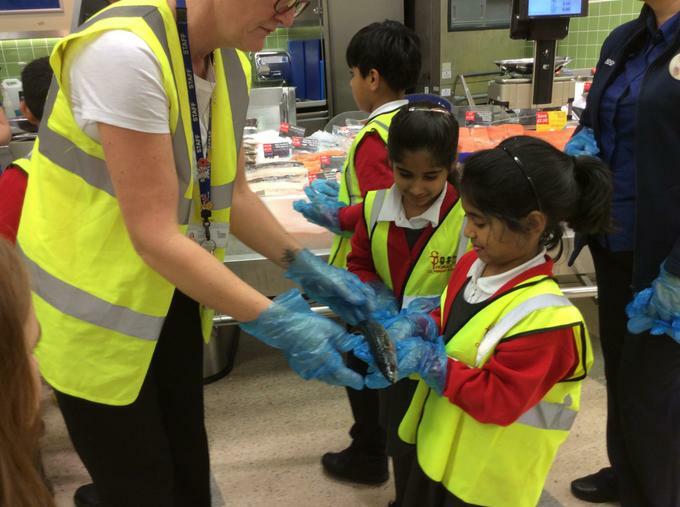 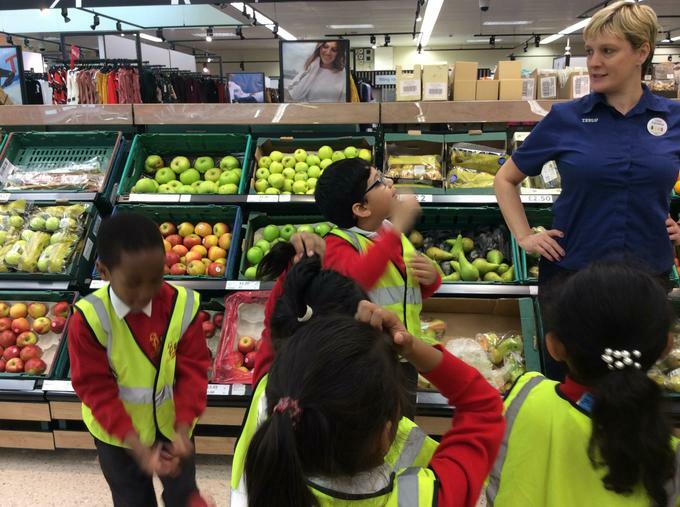 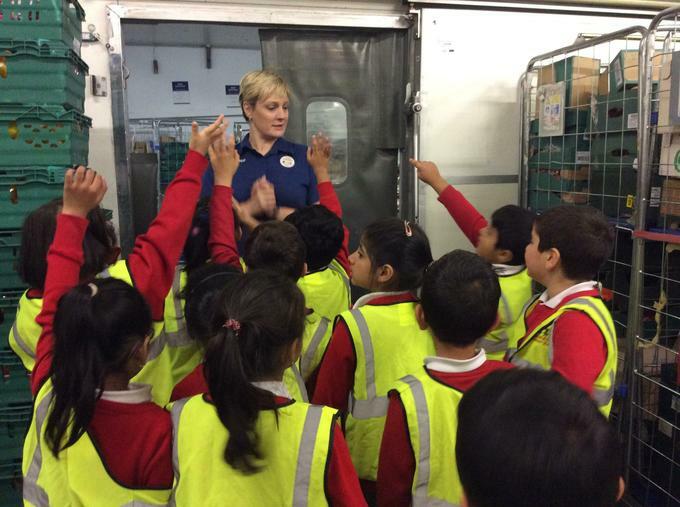 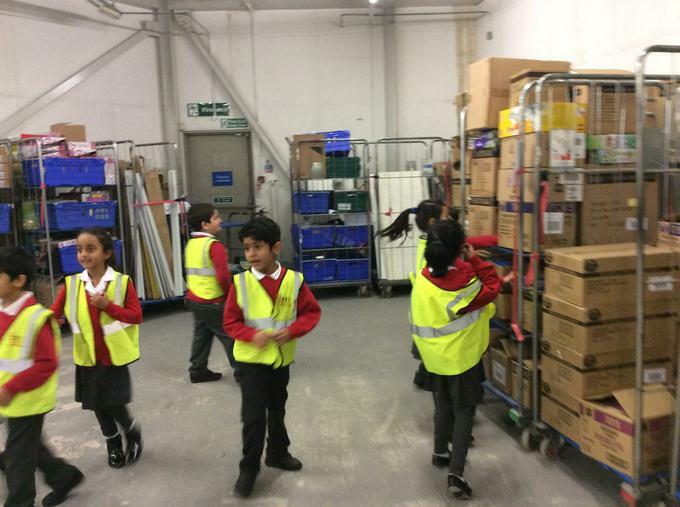 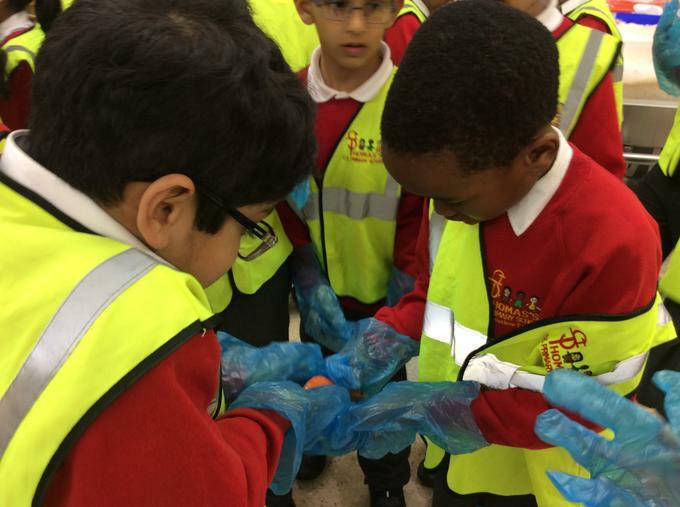 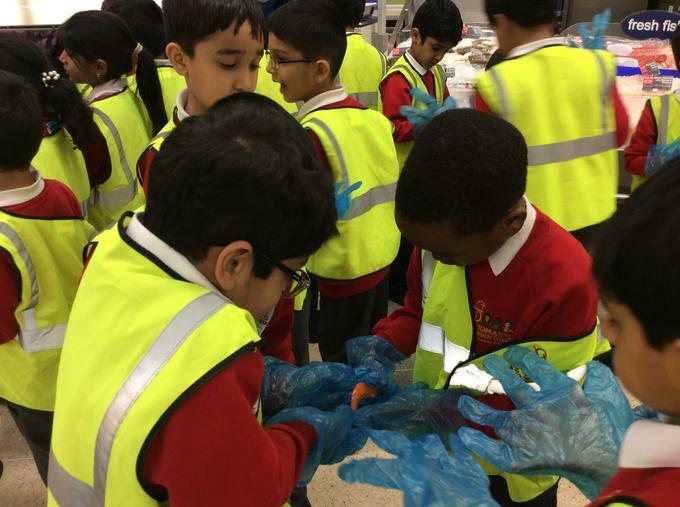 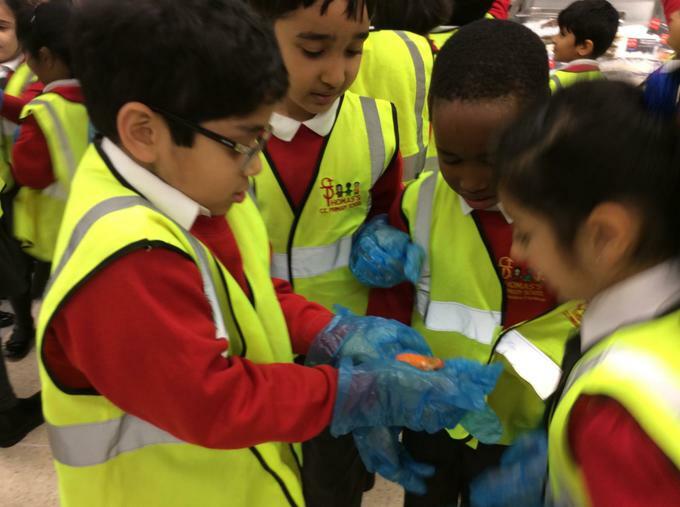 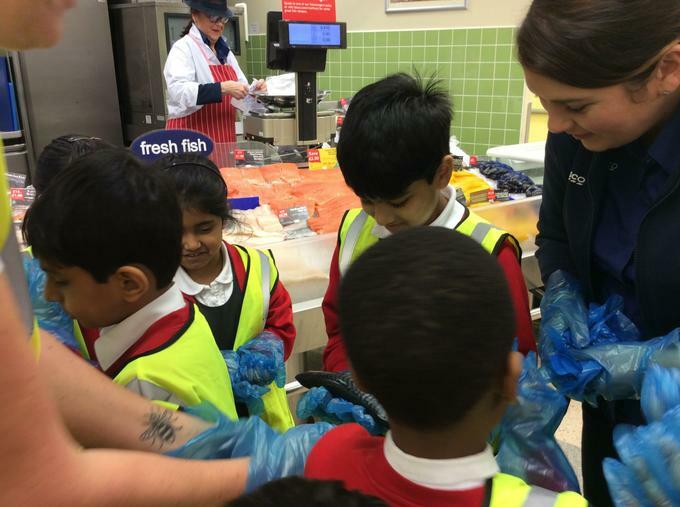 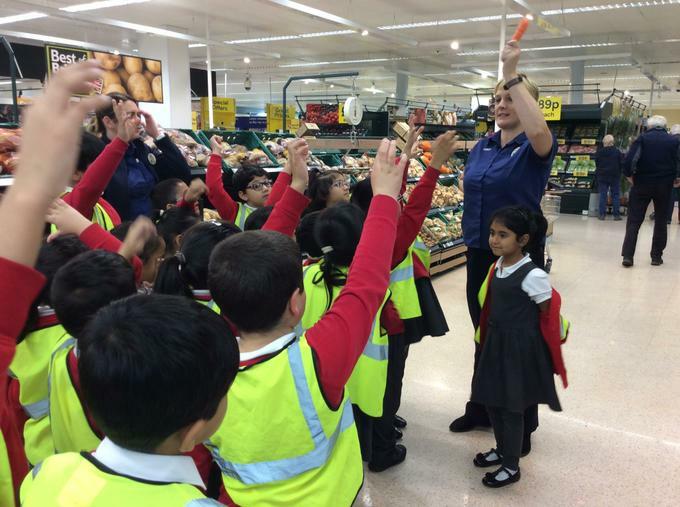 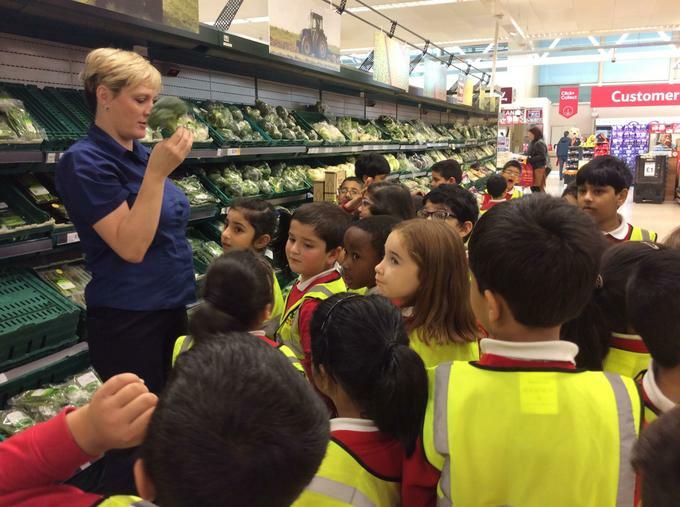 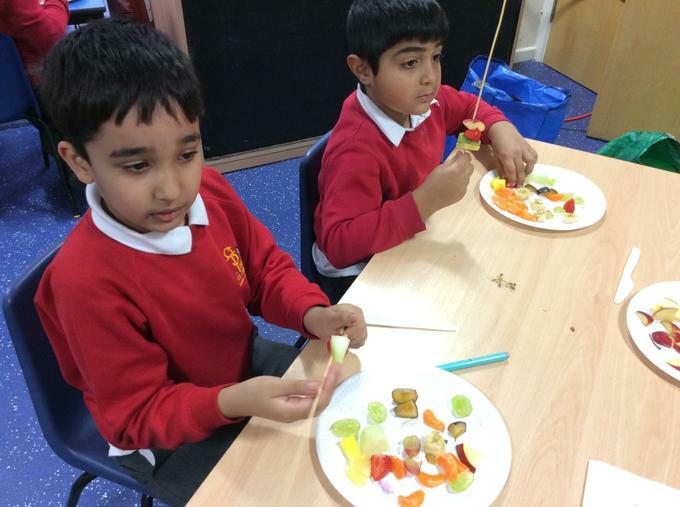 Children will be given learning log challenges each term which are linked to the work they have been covering throughout the topic. 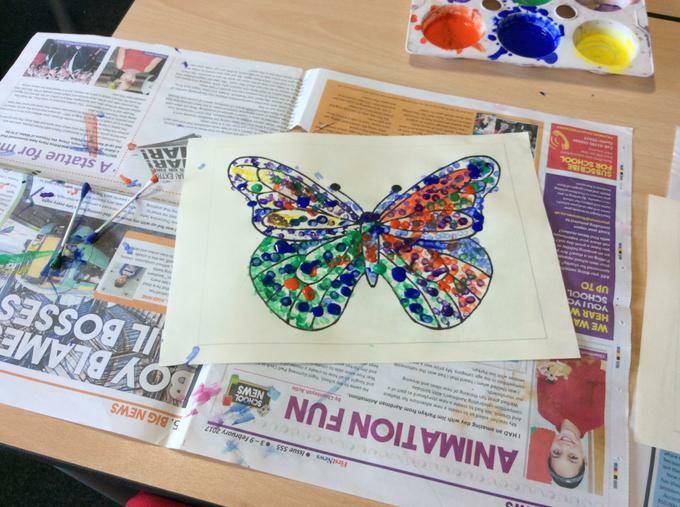 This needs to be handed in on specific dates, please take this opportunity to work with your child and tackle the challenges with a creative, imaginative mind that celebrates your child's ideas. 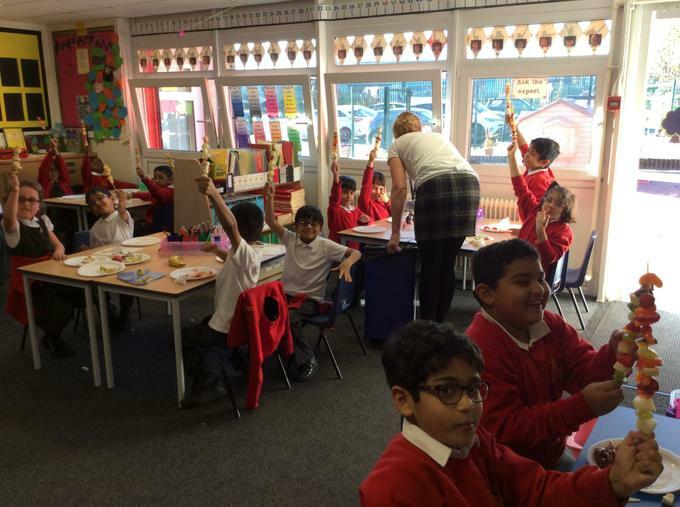 If you have any questions please do not hesitate to speak to us at the start or end of the school day. 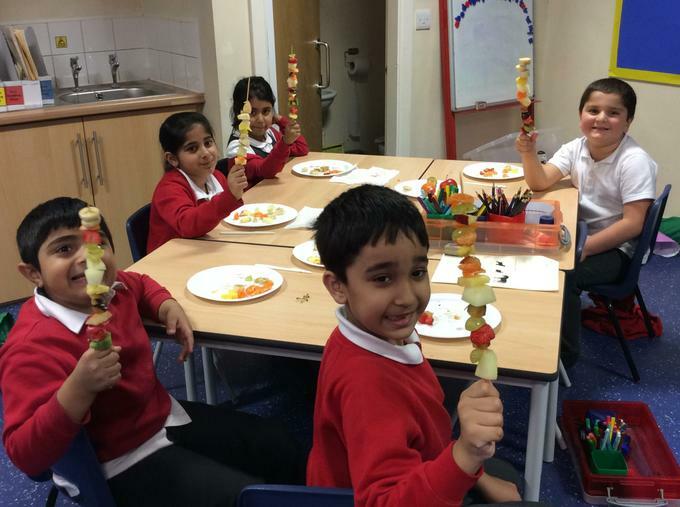 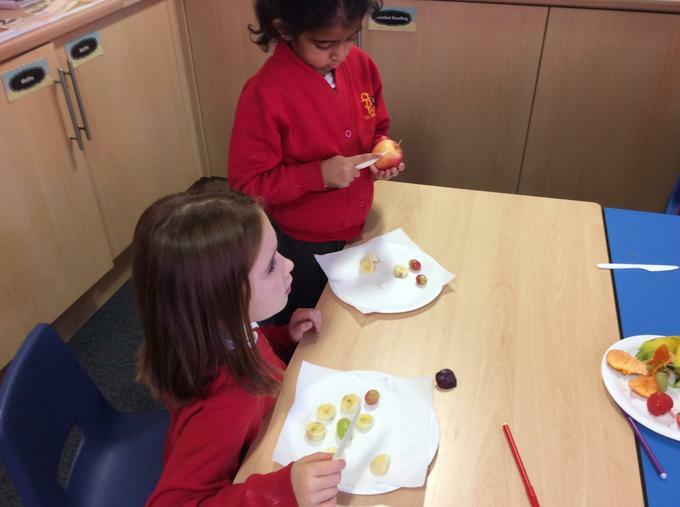 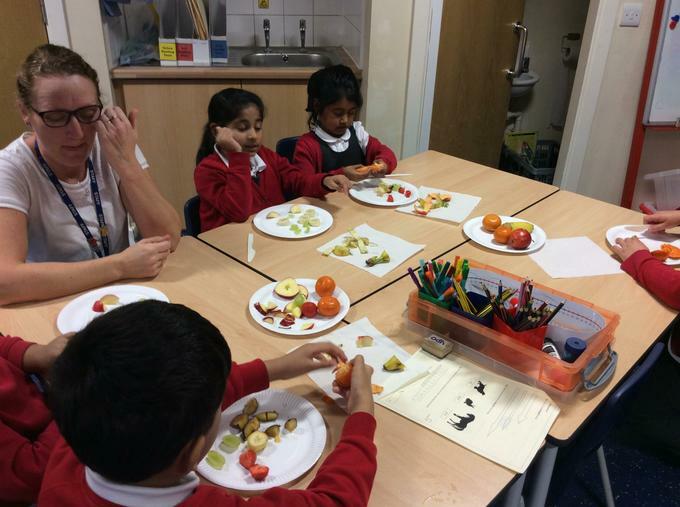 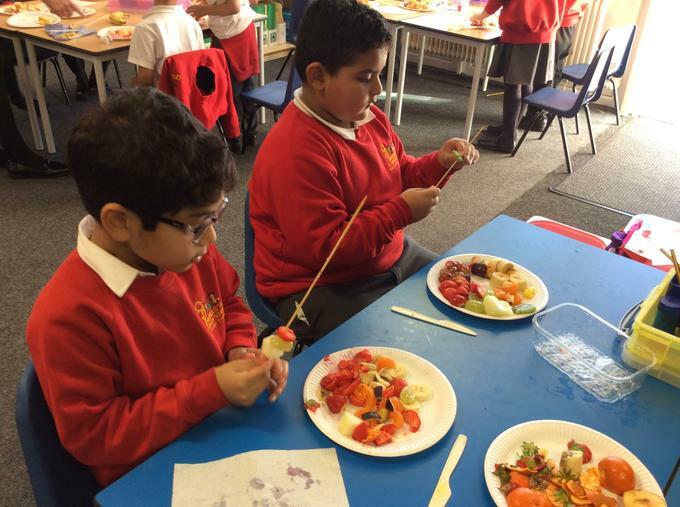 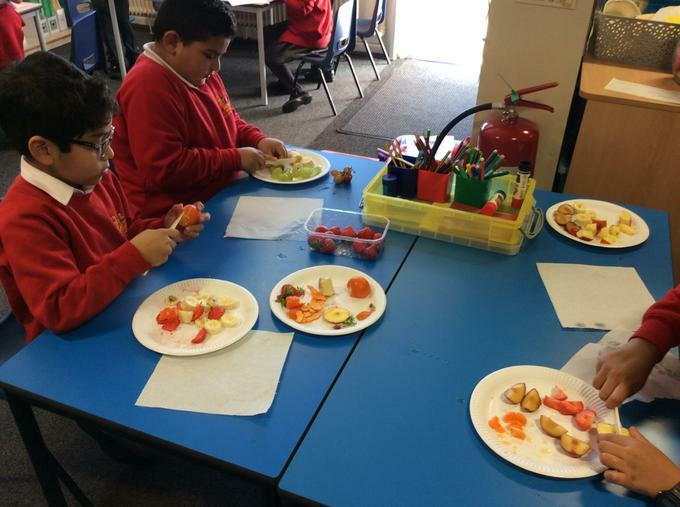 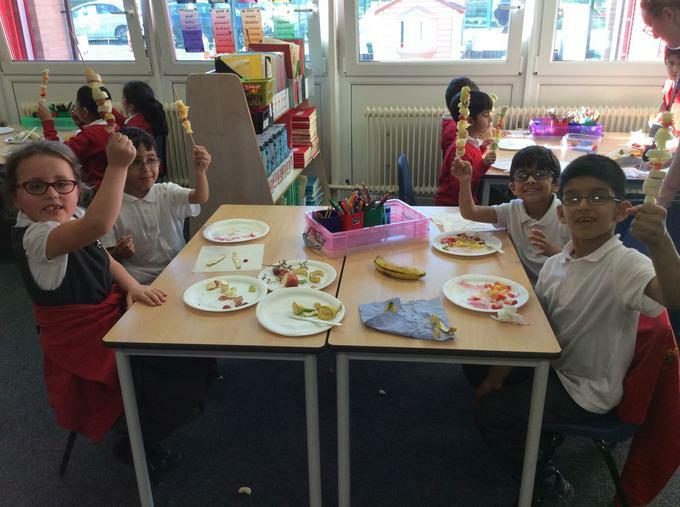 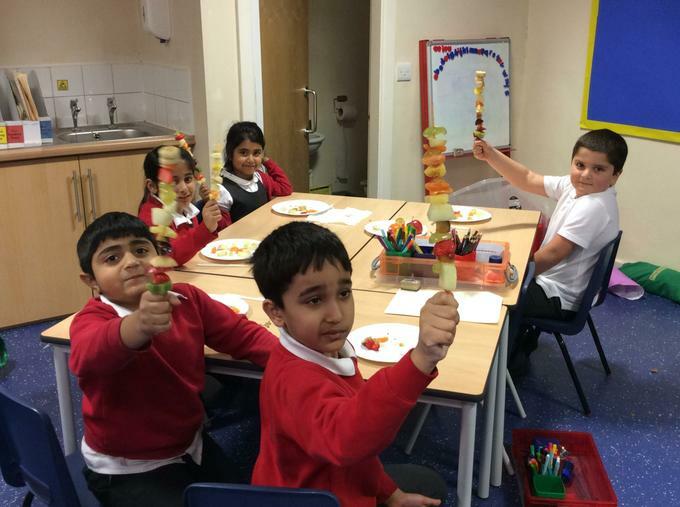 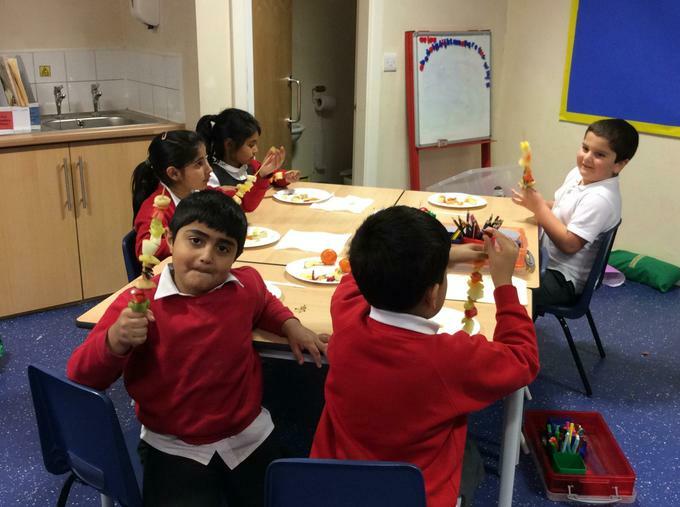 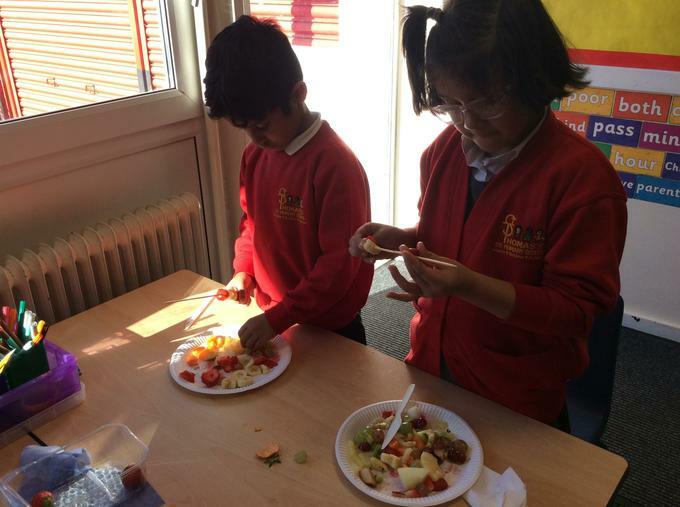 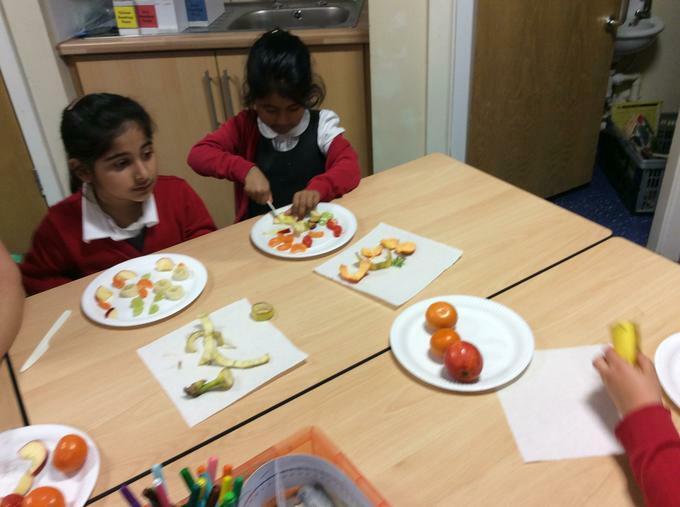 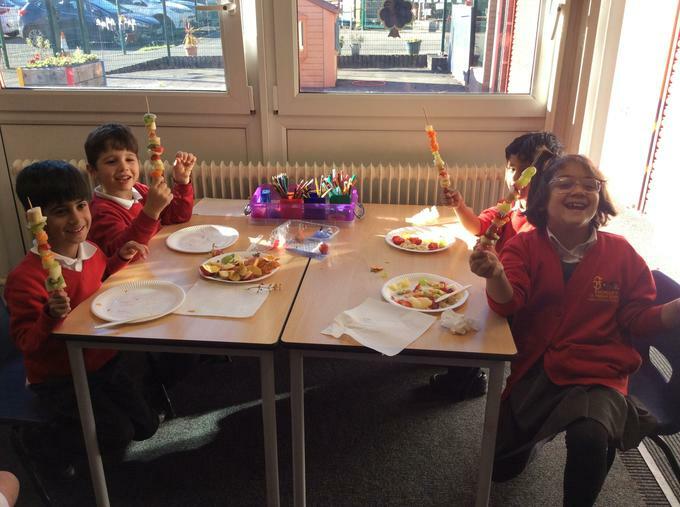 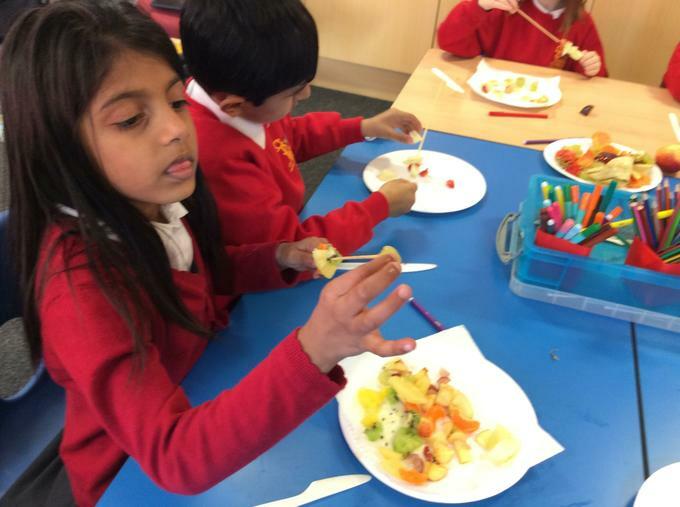 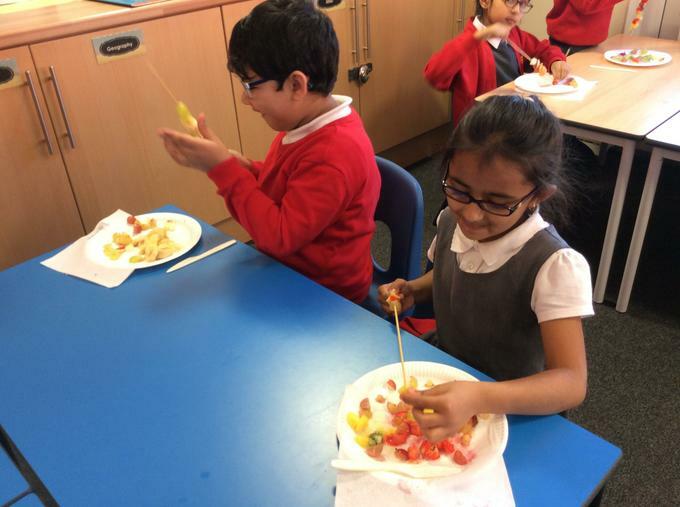 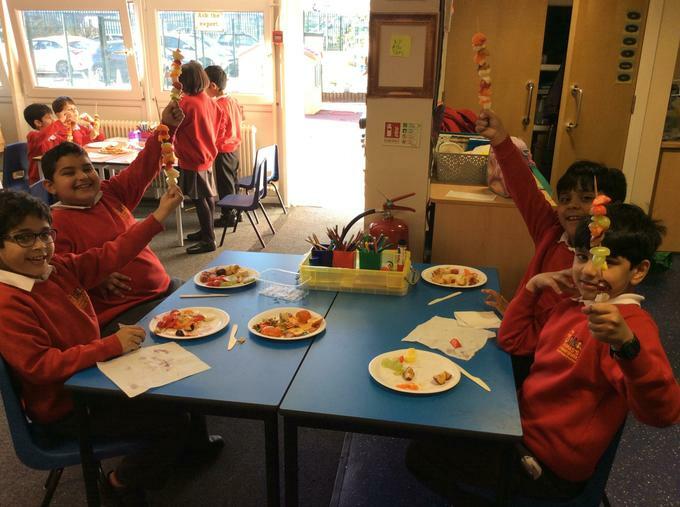 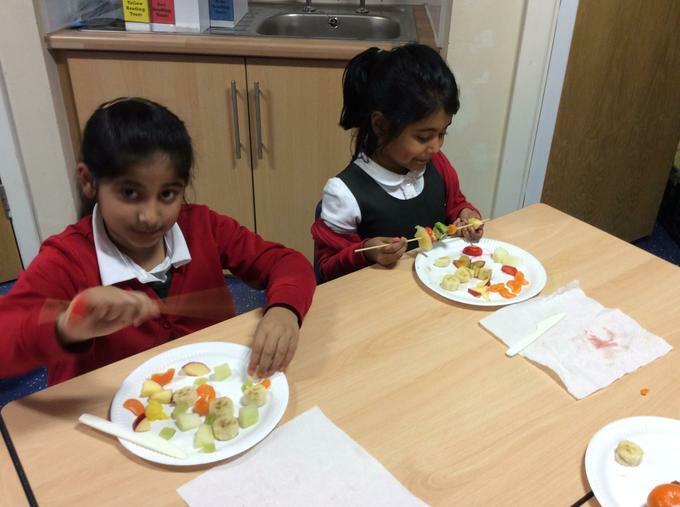 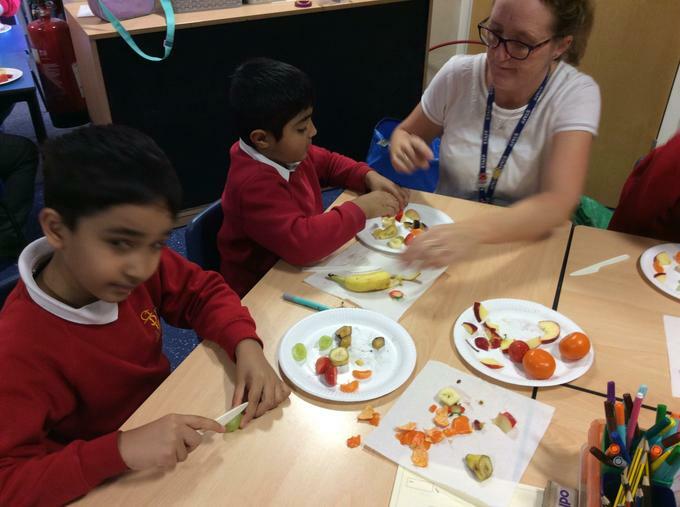 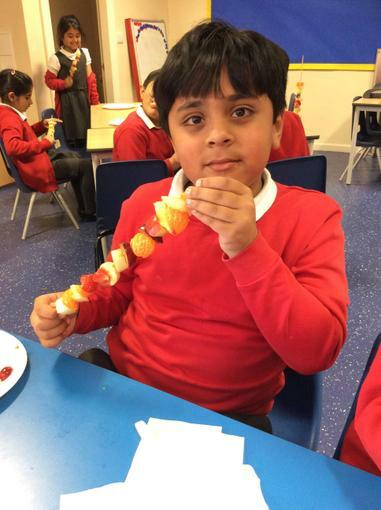 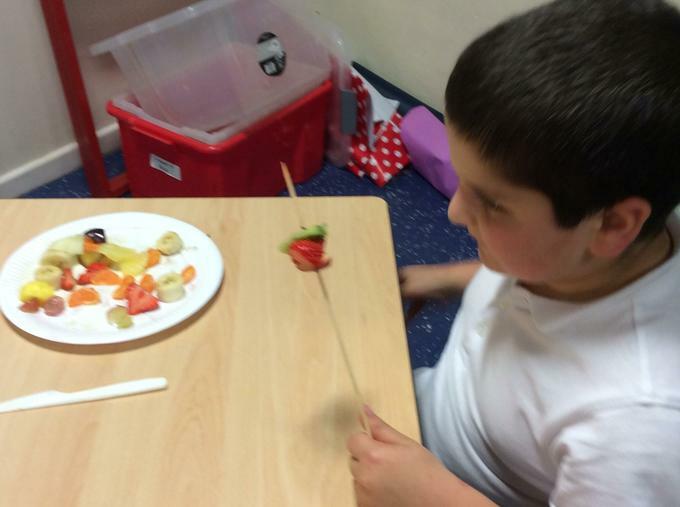 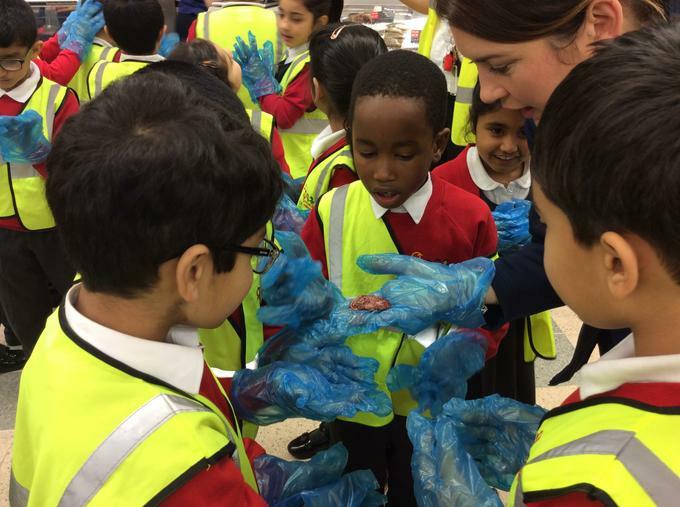 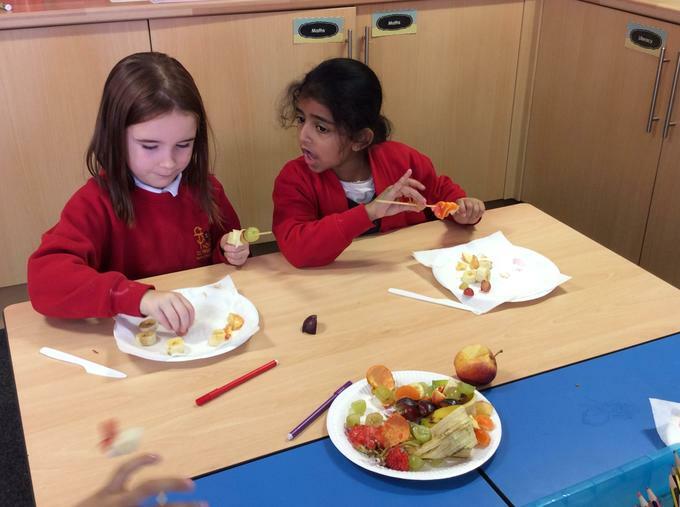 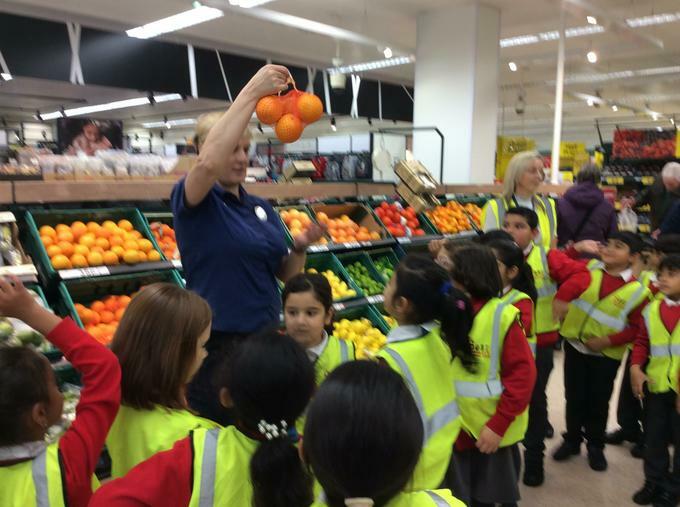 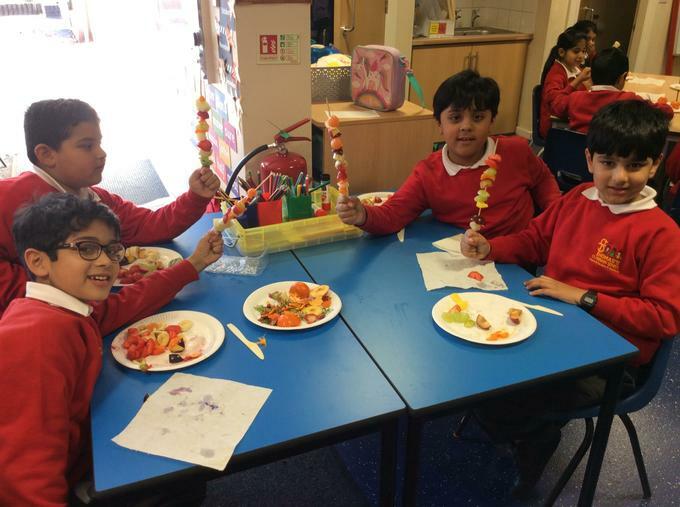 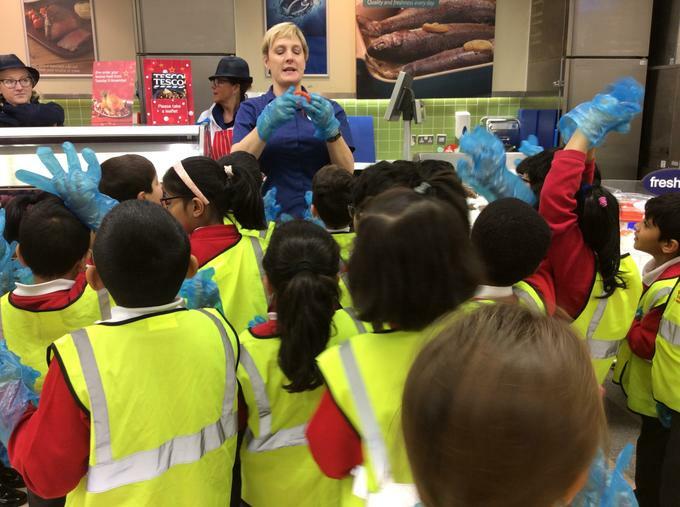 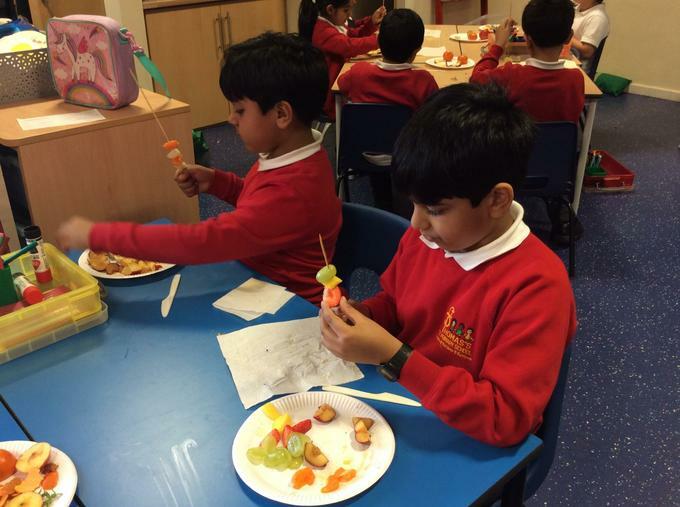 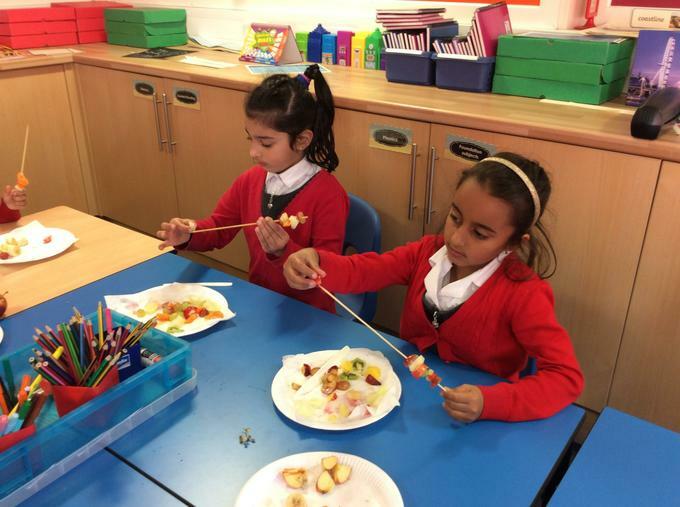 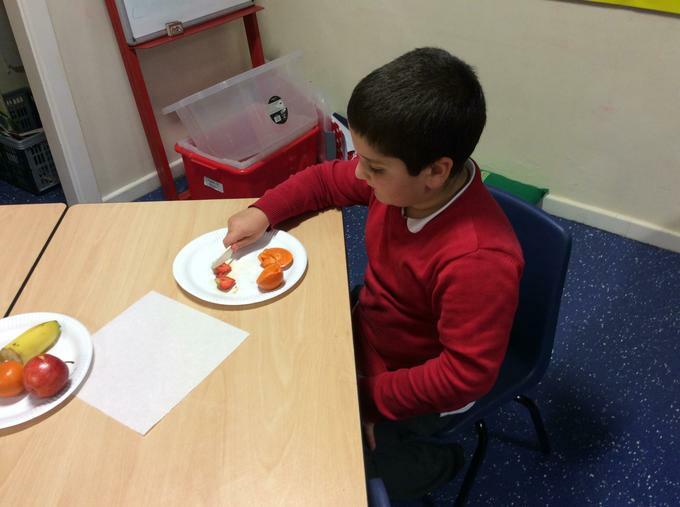 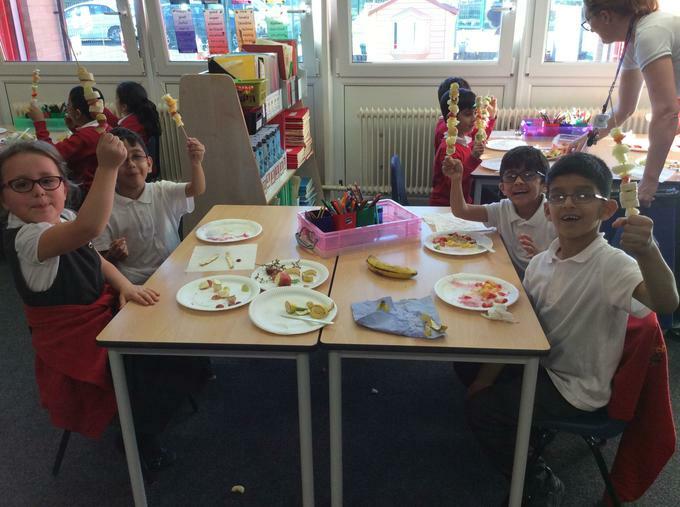 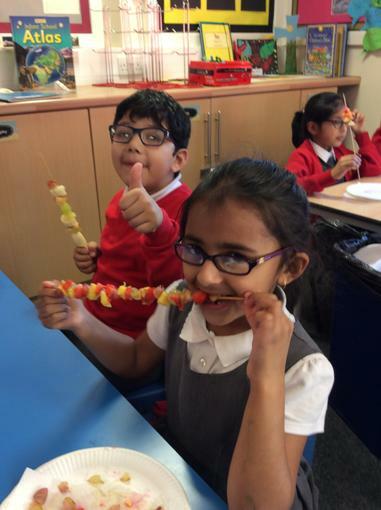 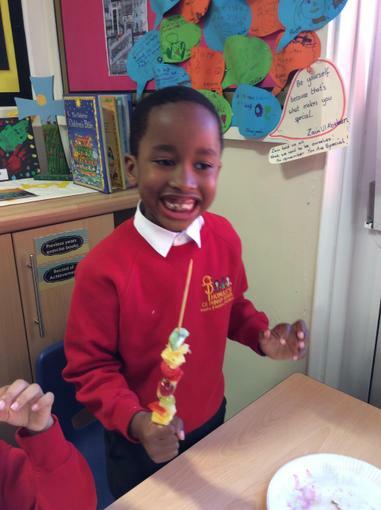 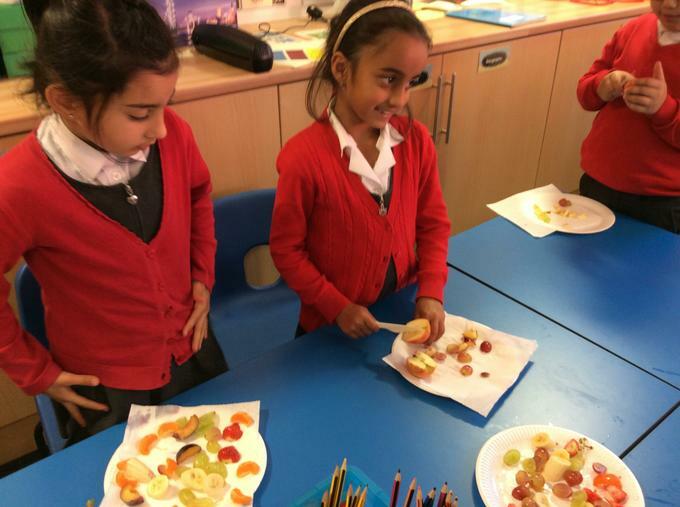 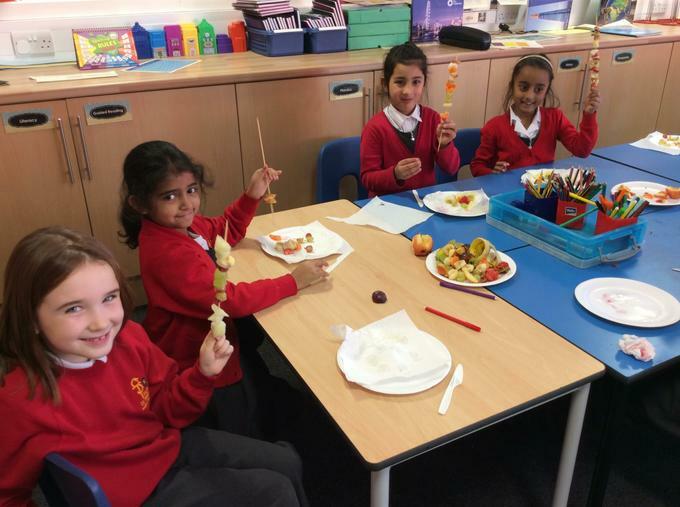 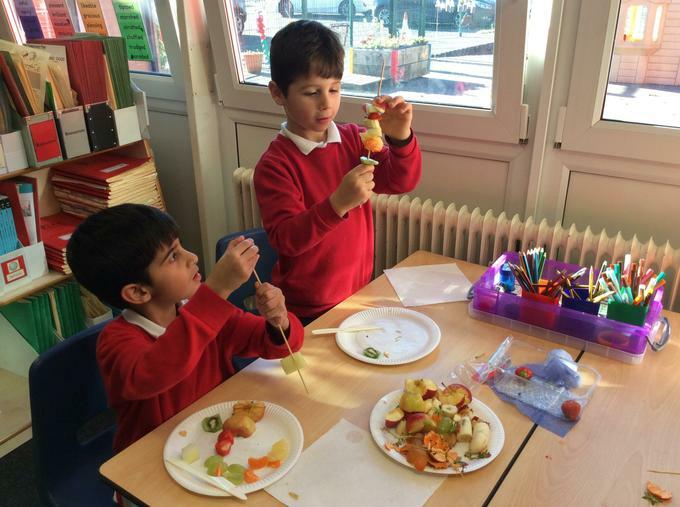 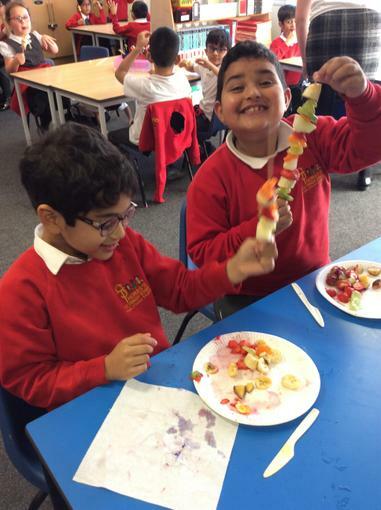 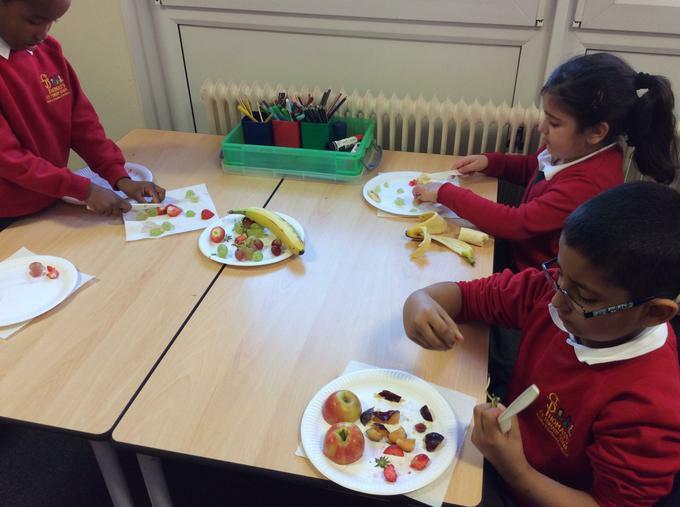 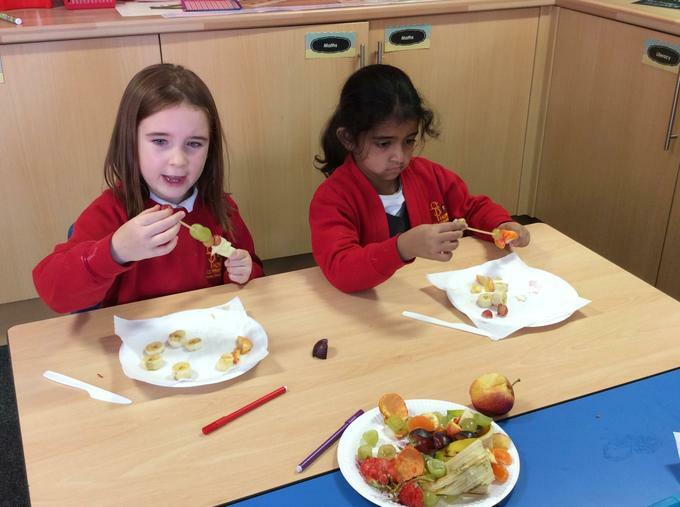 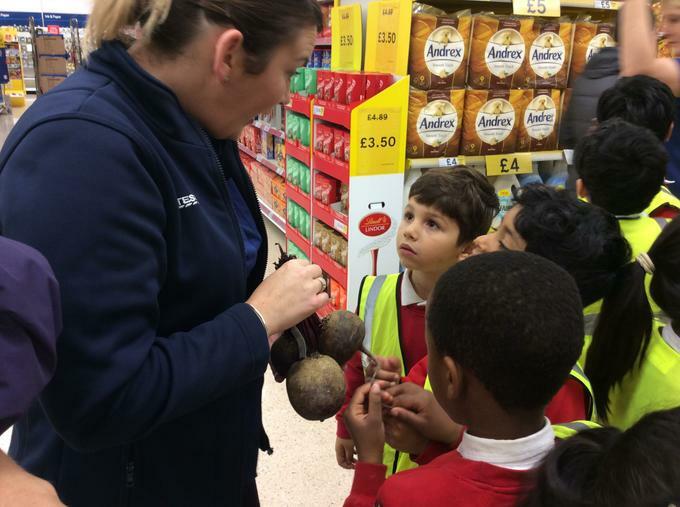 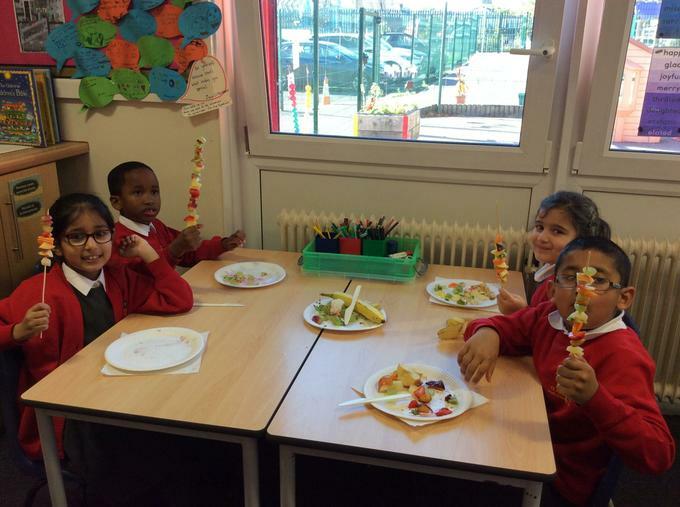 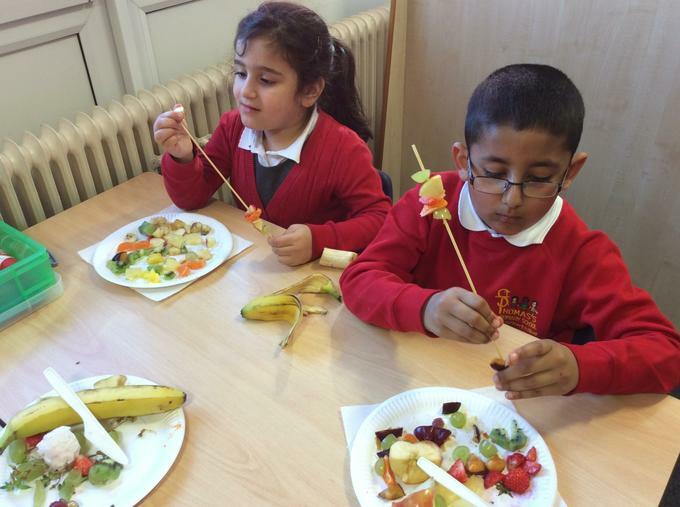 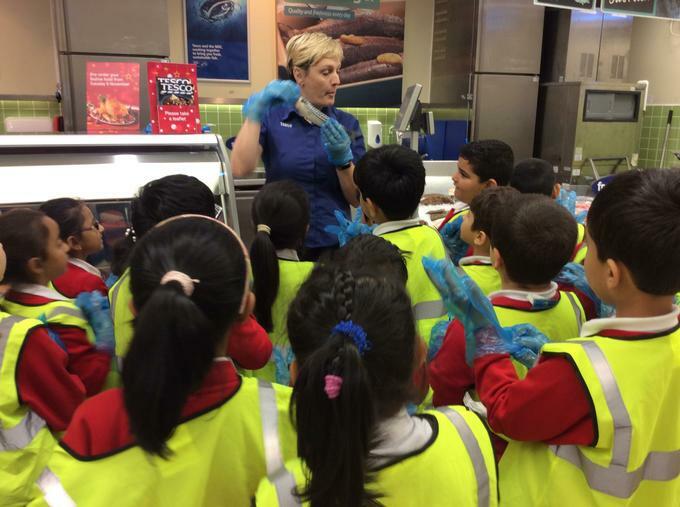 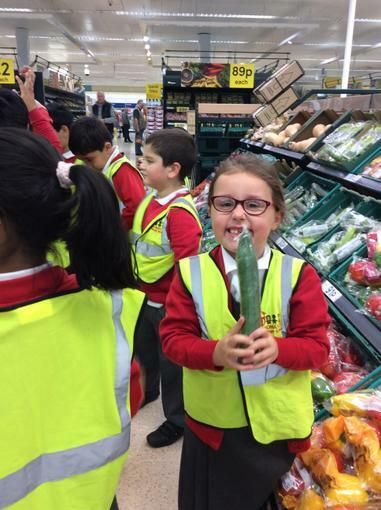 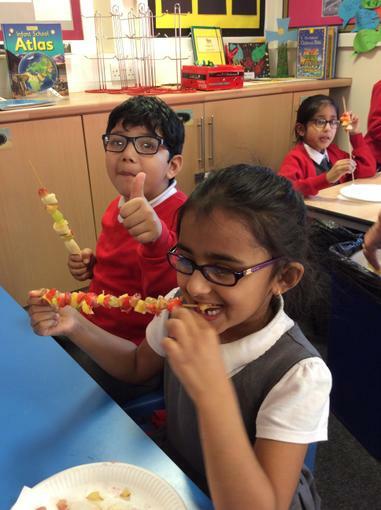 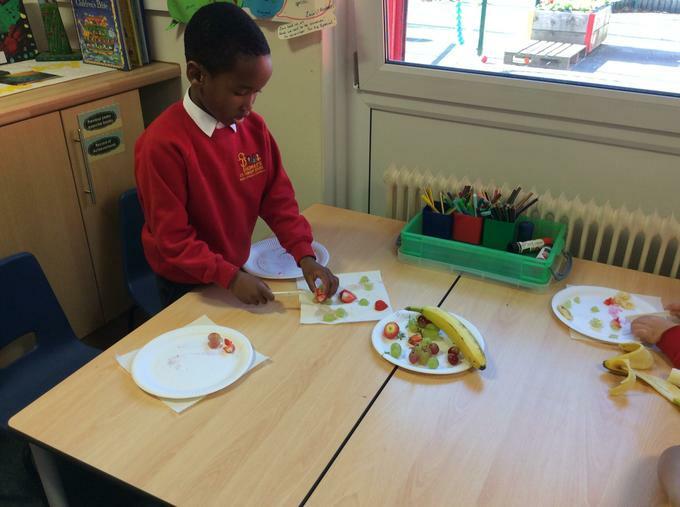 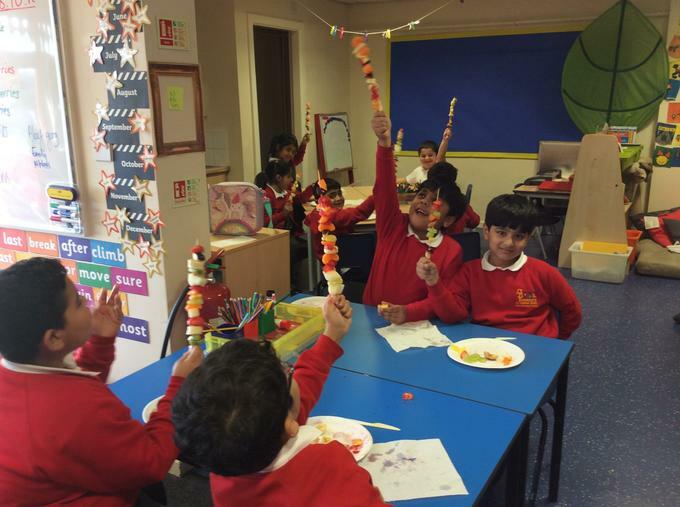 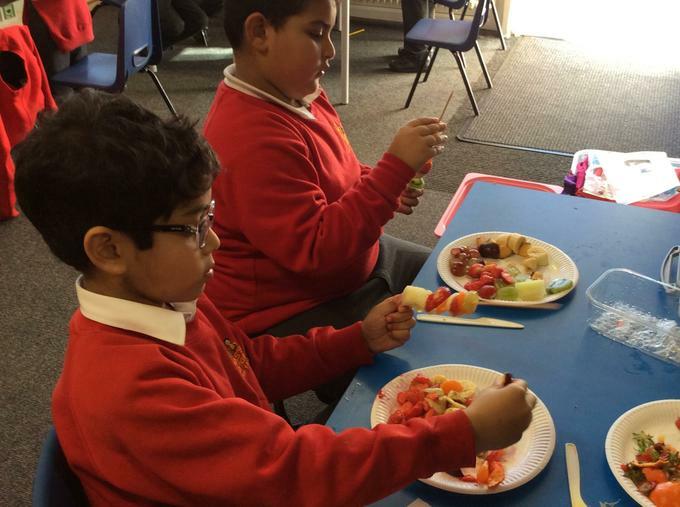 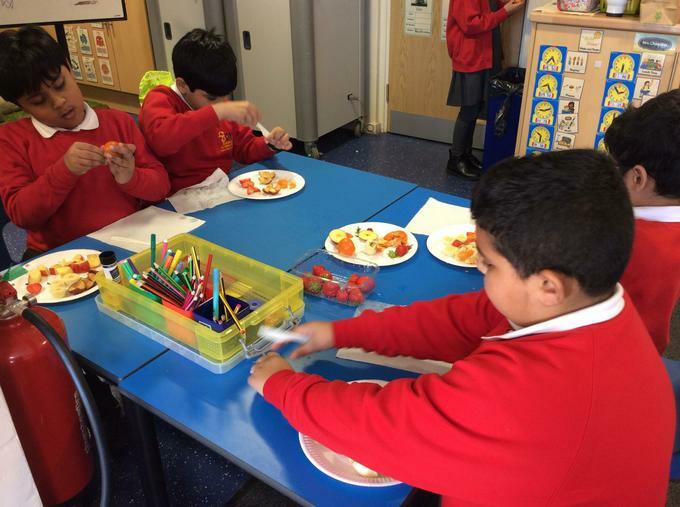 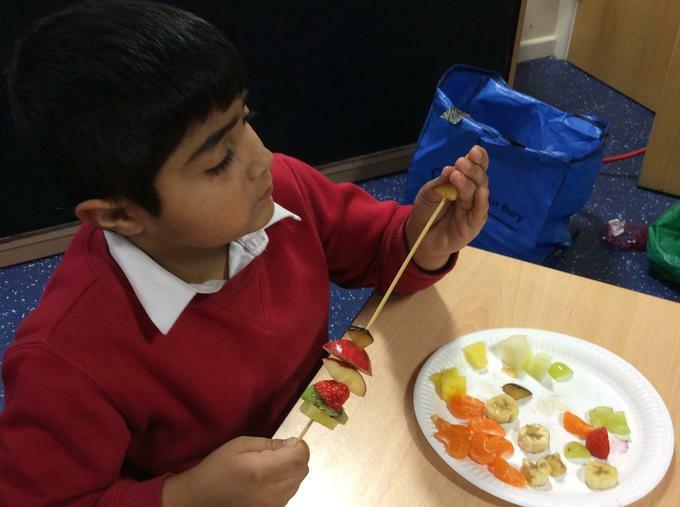 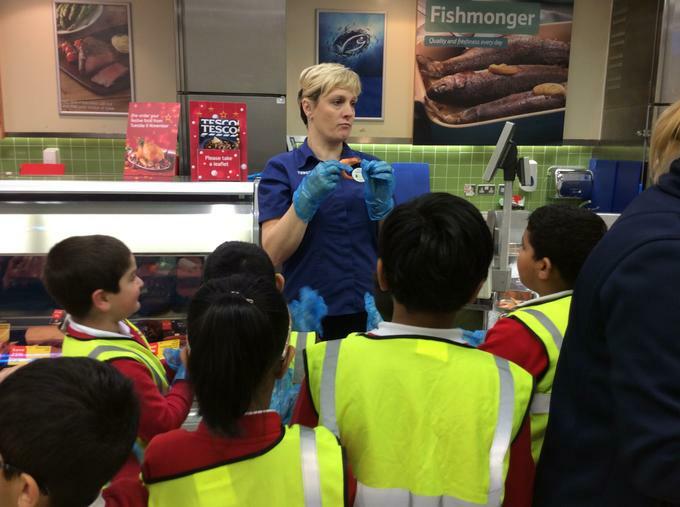 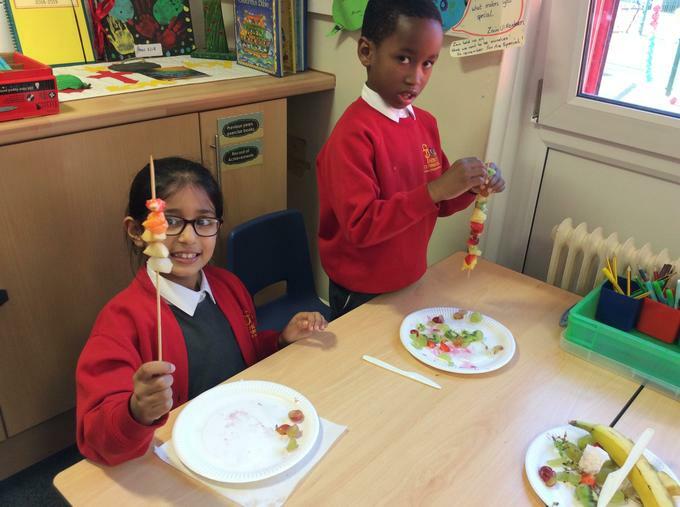 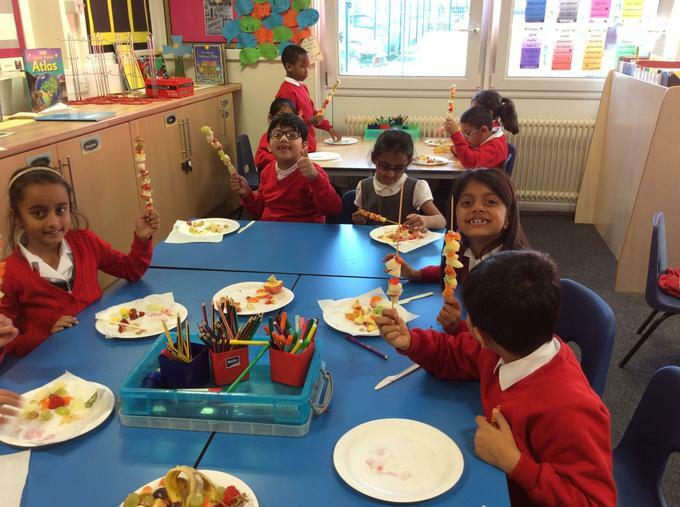 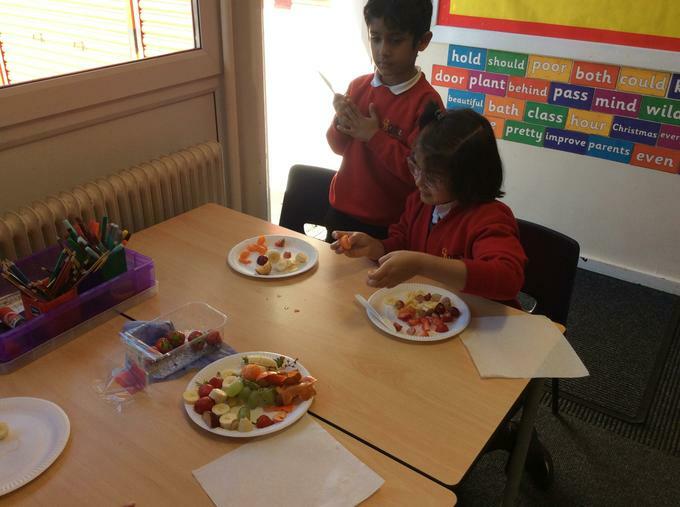 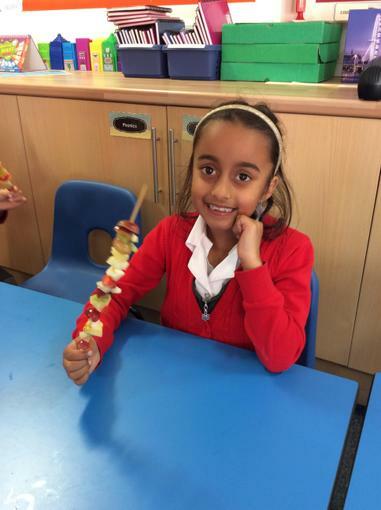 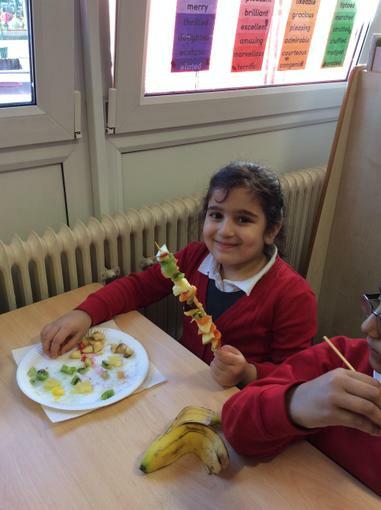 Health week- We made fruit kebabs.